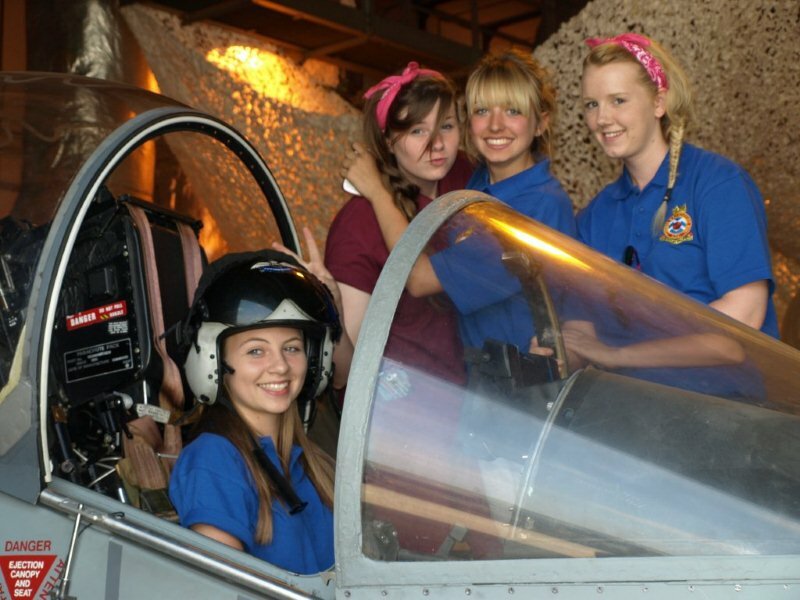 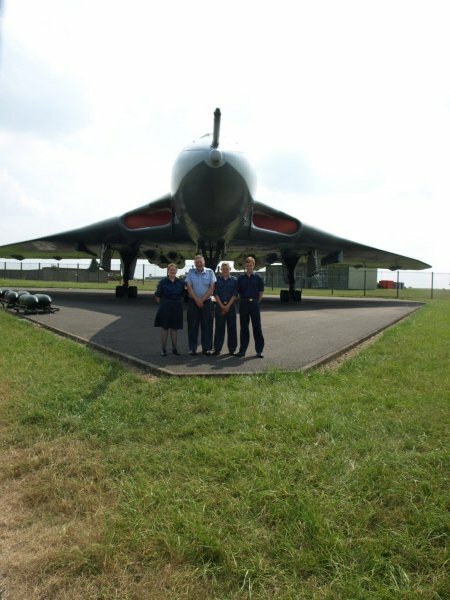 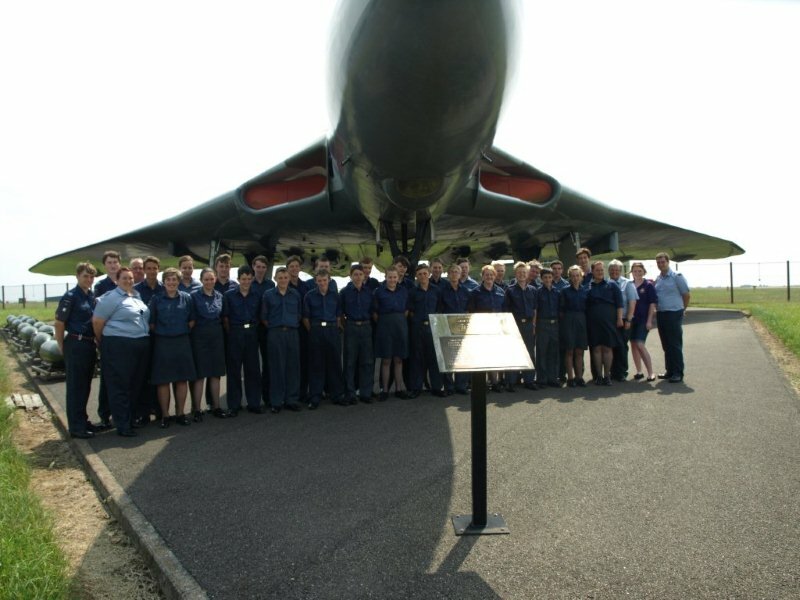 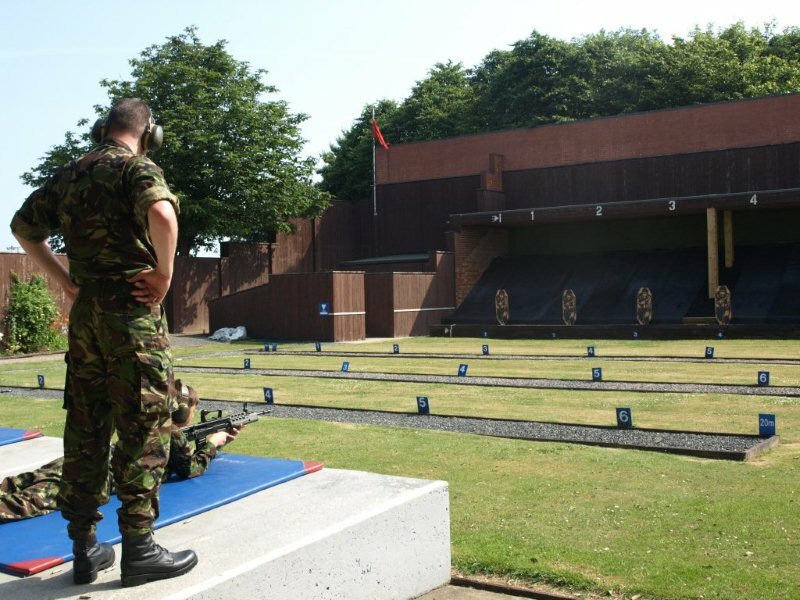 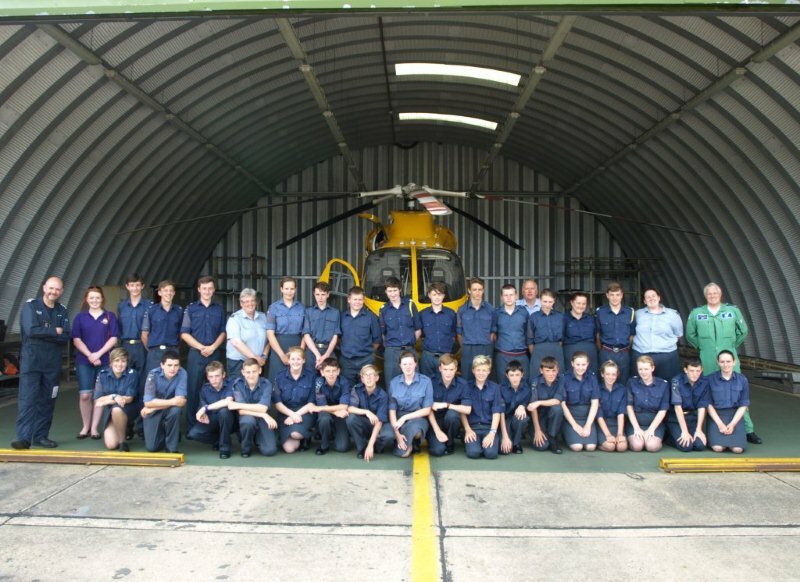 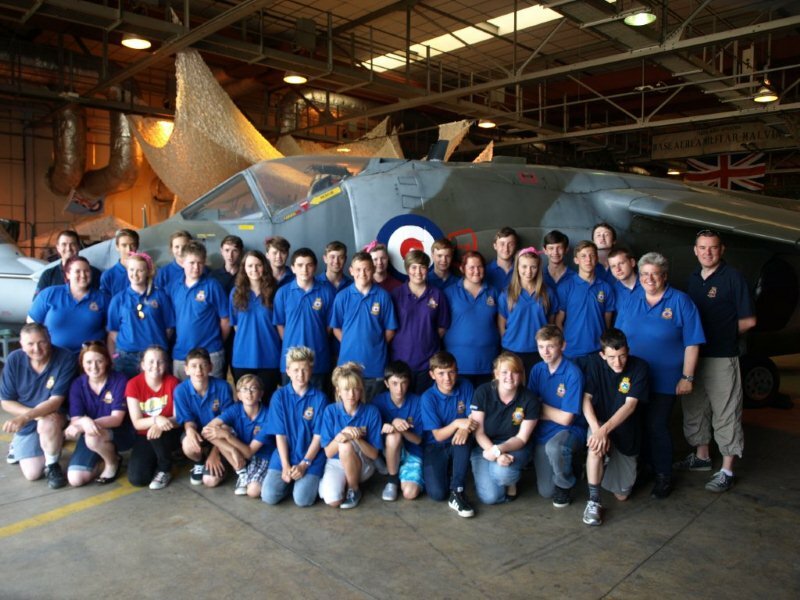 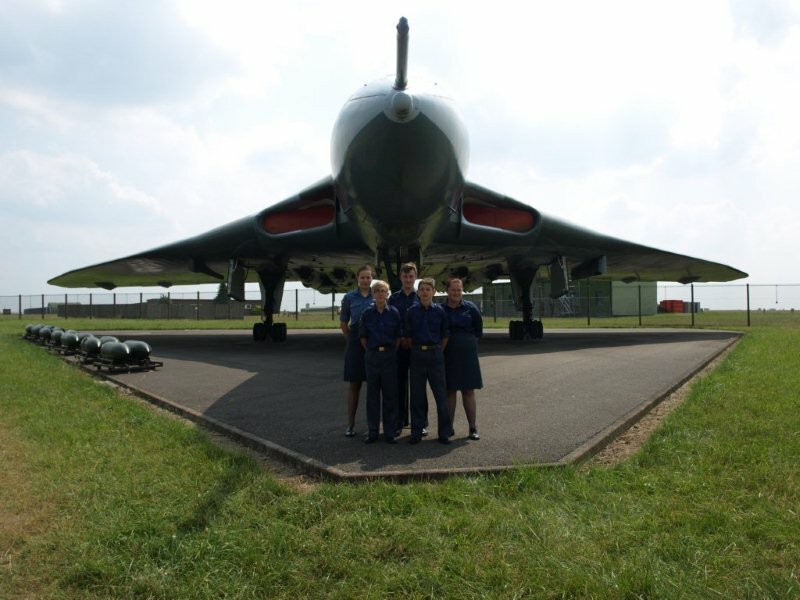 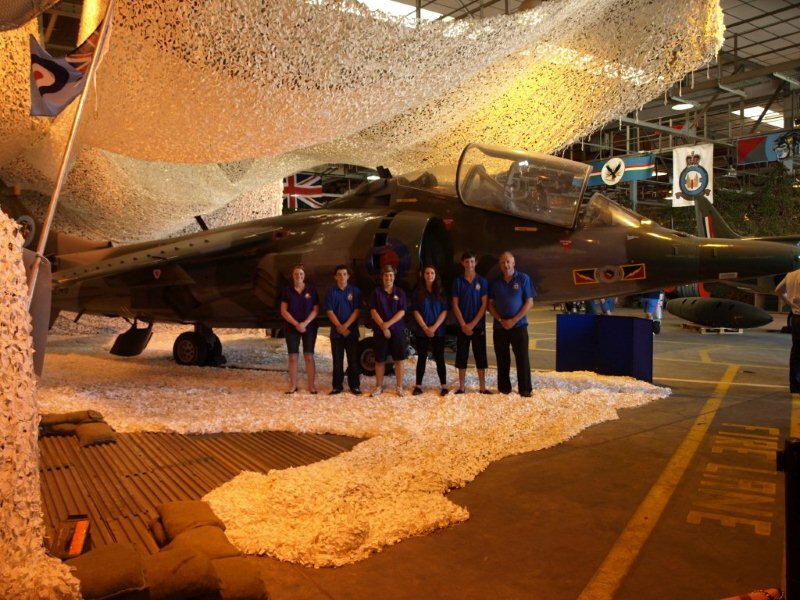 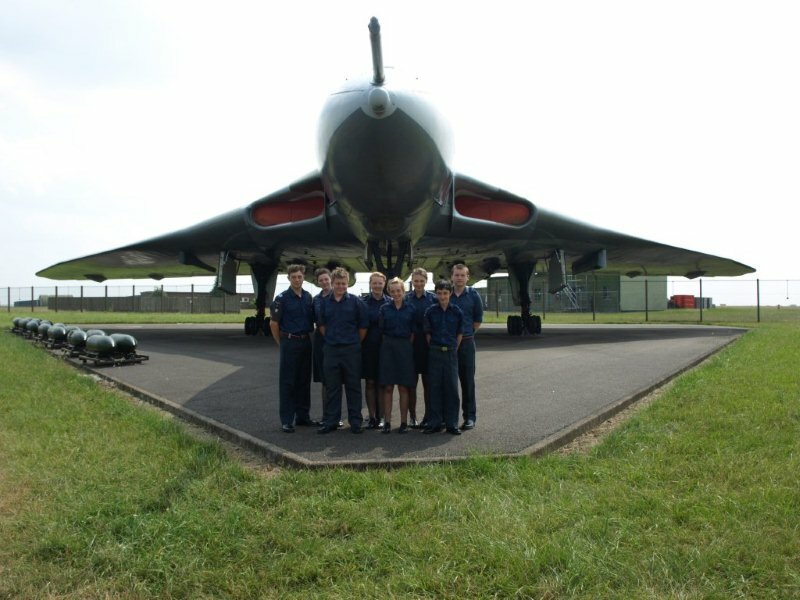 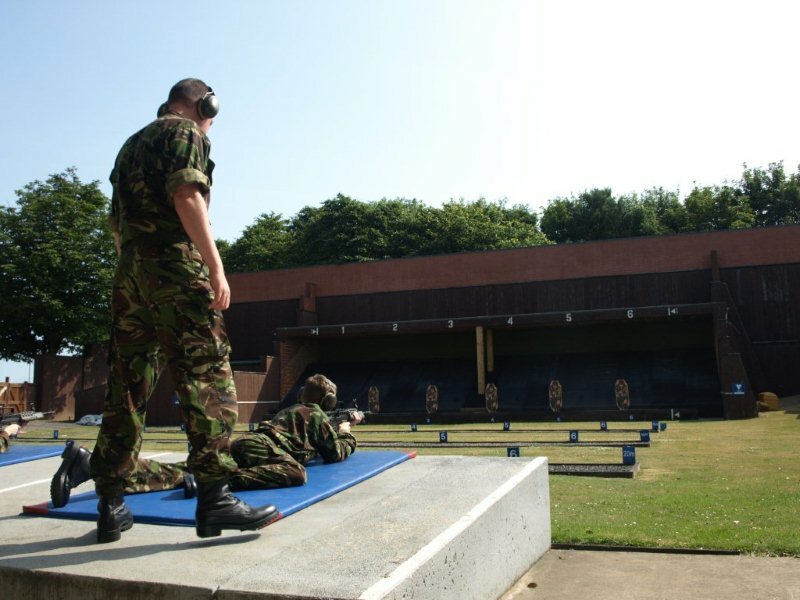 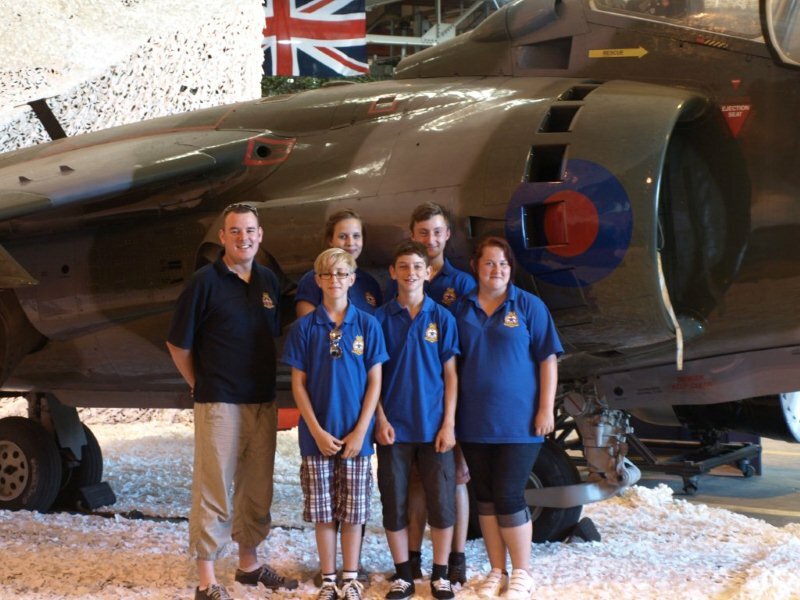 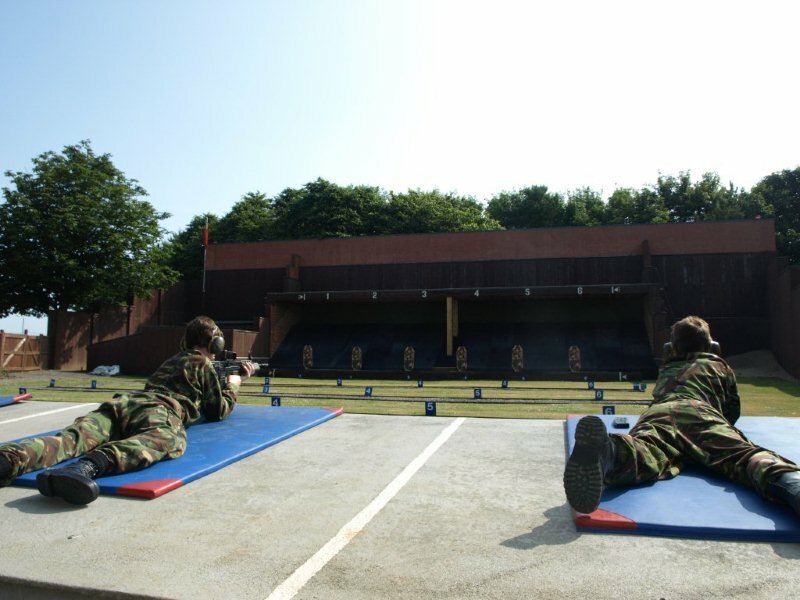 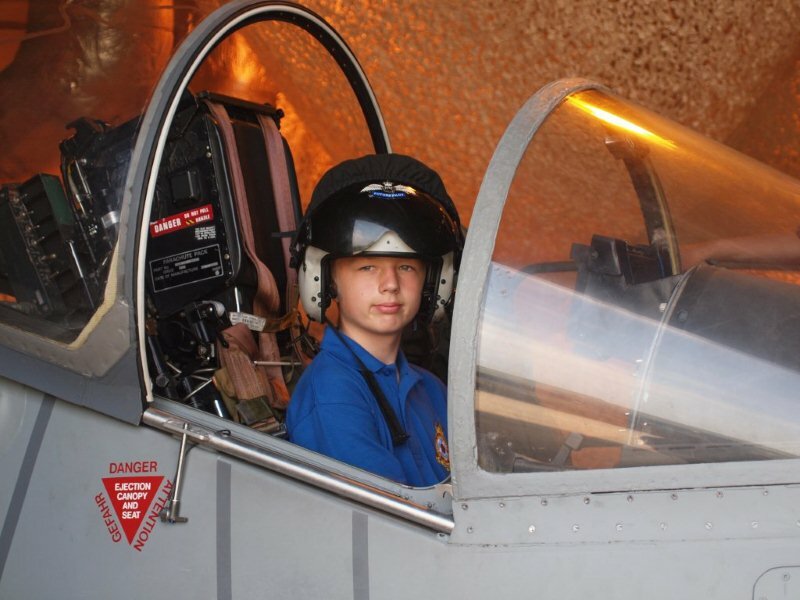 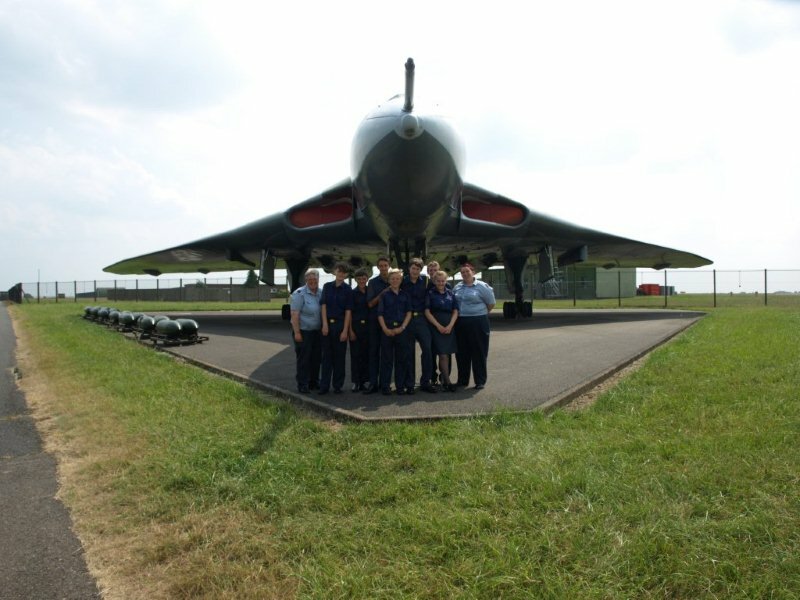 In July 967 (BAe Warton) Squadron joined Cadets and Staff from throughout Cumbria and Lancashire Wing for their week long Annual Camp. 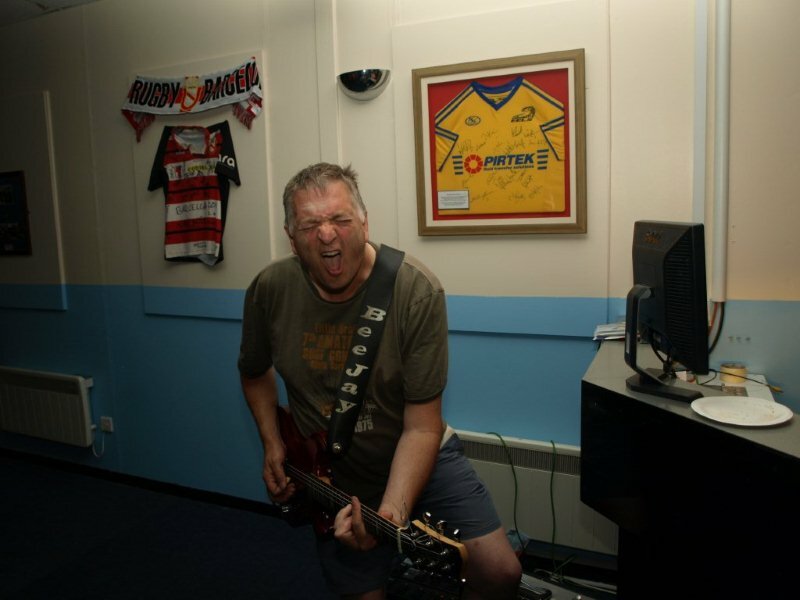 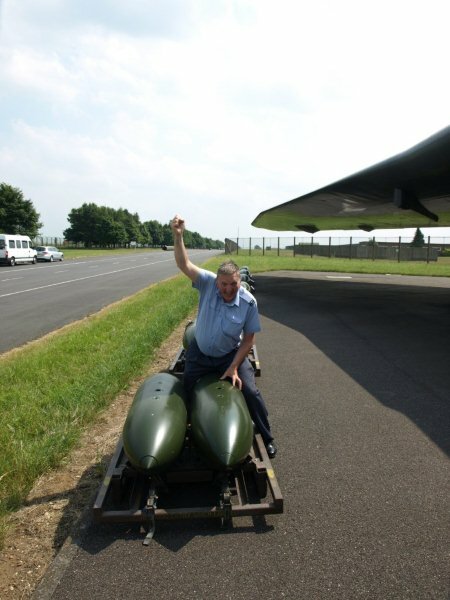 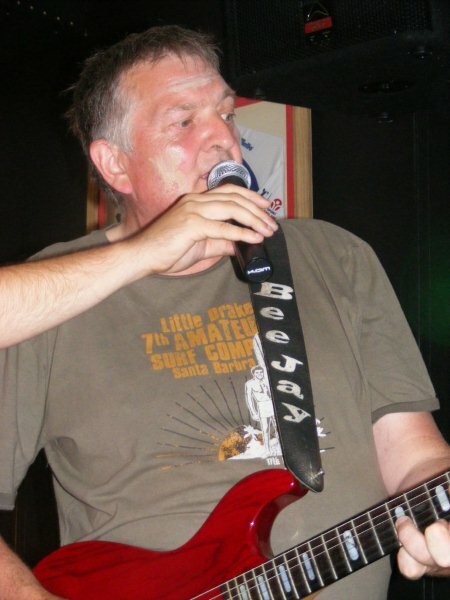 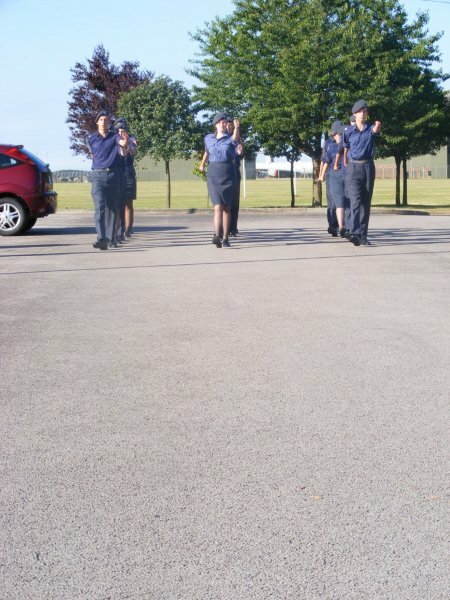 Every year the camp is somewhere different, with 2013 being at RAF Waddington. 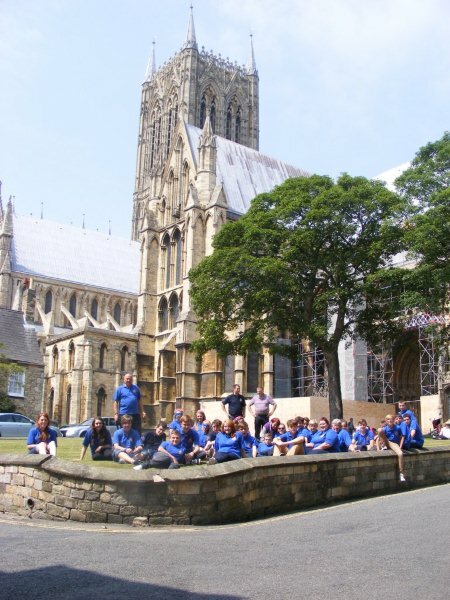 It was a fantastic week with everyone basking in the glorious sunshine whilst visiting a wide variety of places and taking part in a range of activities. 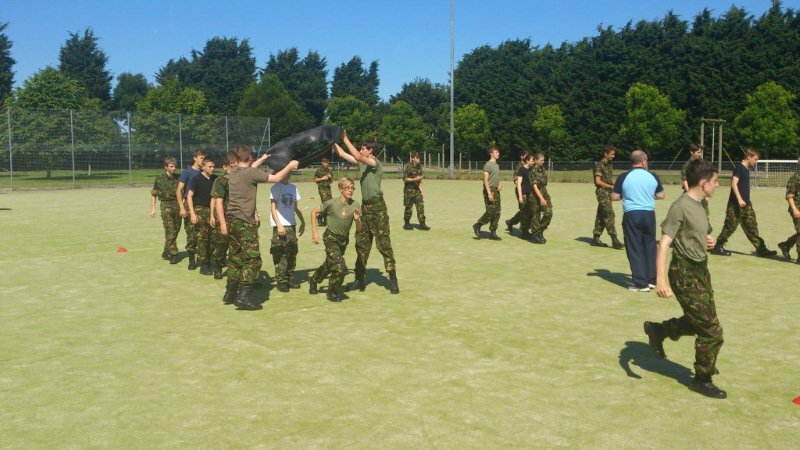 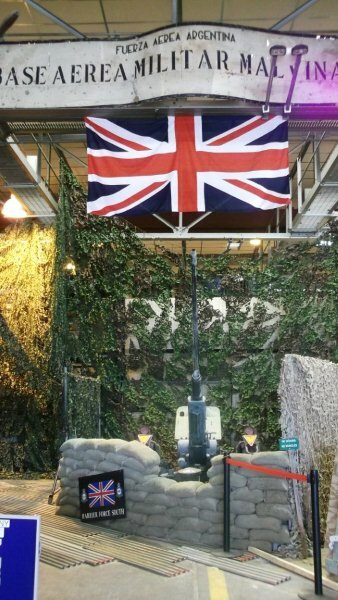 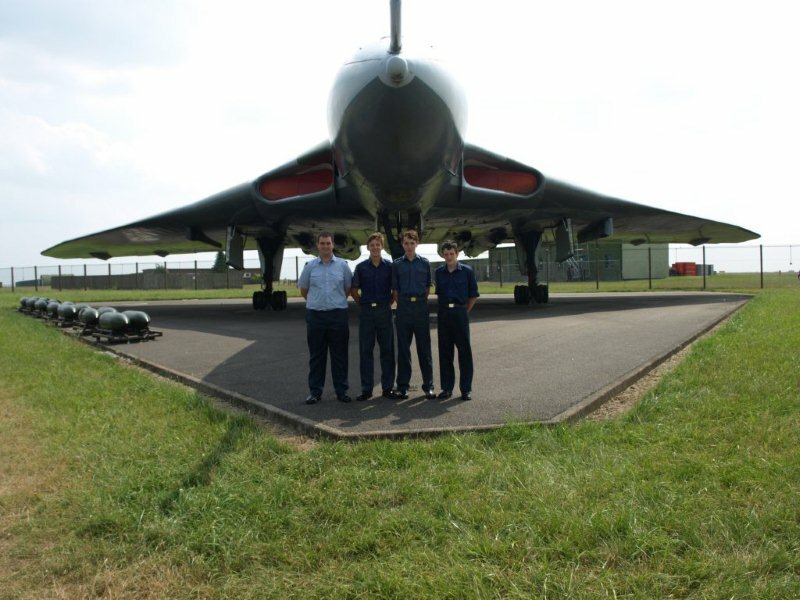 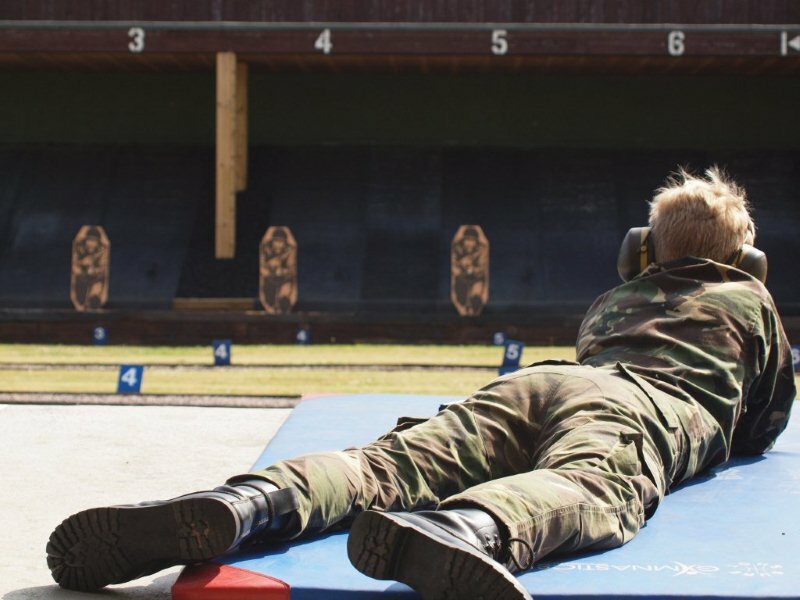 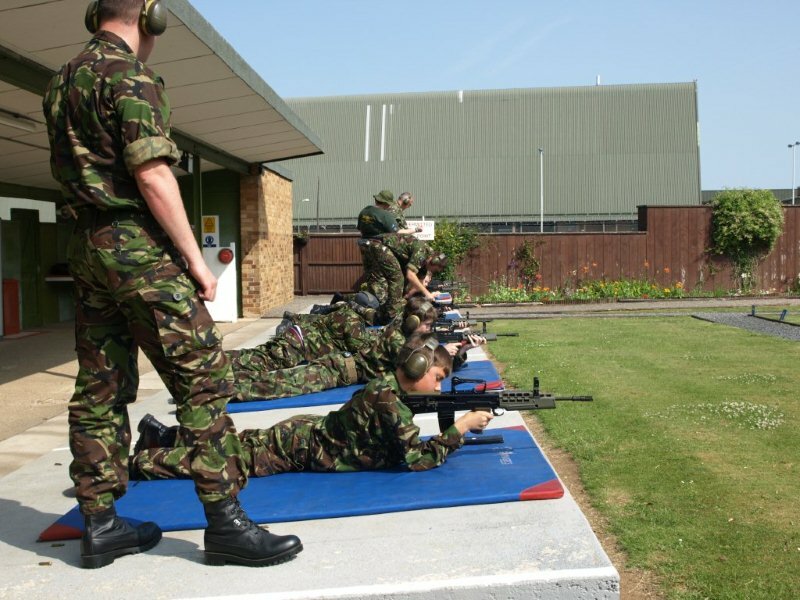 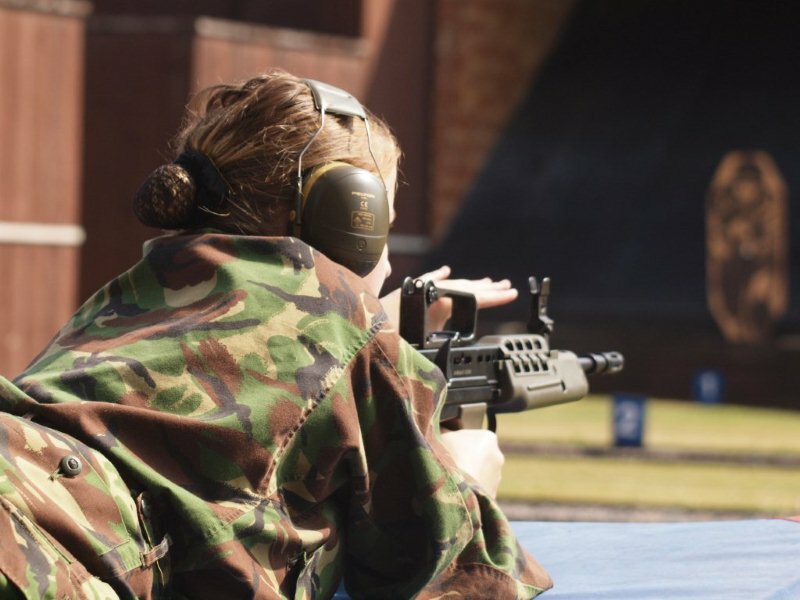 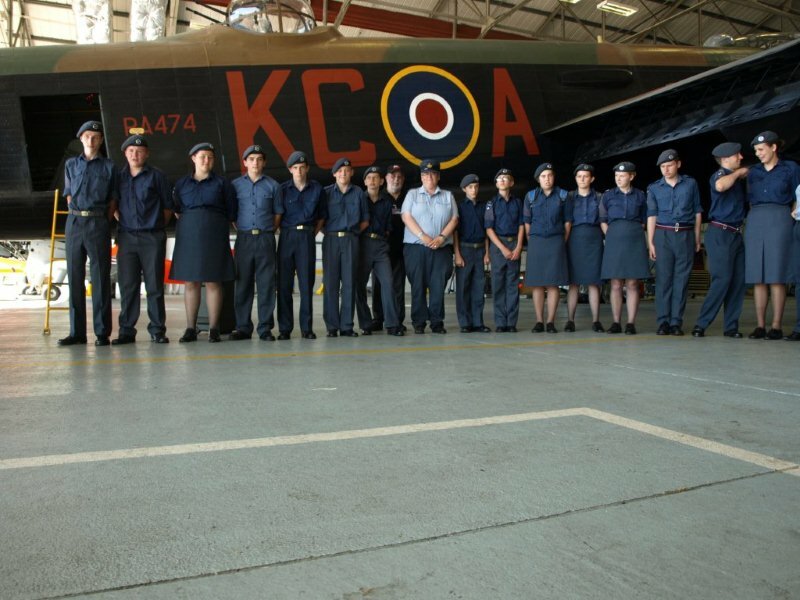 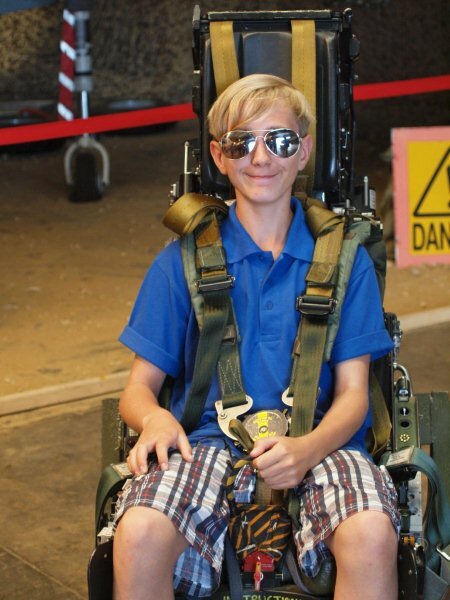 The Annual Camp is one of the highlights of the year with Cadets and Staff being given the opportunity to experience a week of life on an RAF Station. 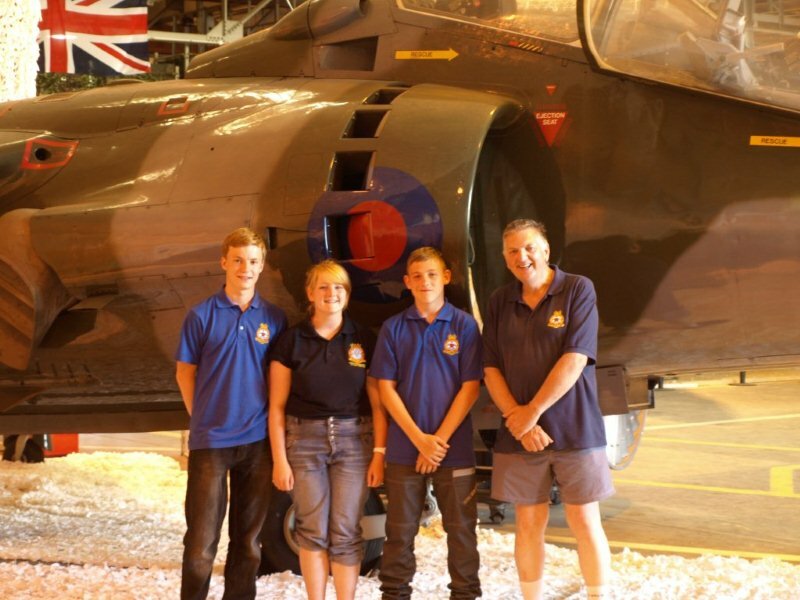 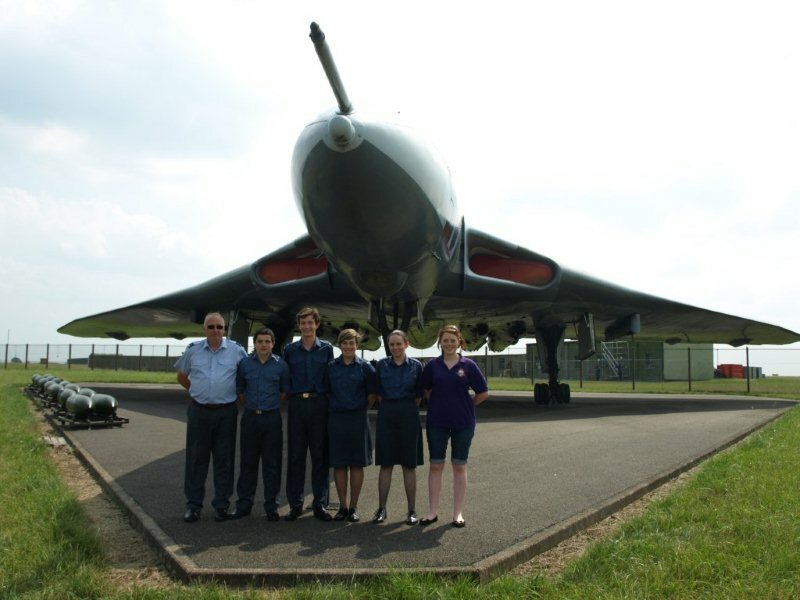 For 2013’s camp Cadets Kayleigh Wilson, Dan Dale, Harriet Hiles and Michael Trelfa along with Cadet Corporal Ryan Shields and staff member Warrant Officer Jamie Wright joined Staff and Cadets from 206 (Thornton Cleveleys), 1301 (Fleetwood) 471 (Hesketh Bank), 1471 (Horwich), 1862 (Carlisle) and 2486 (Lytham & St Annes) Squadrons on a warm Saturday morning for their long coach trip to RAF Waddington near Lincoln. 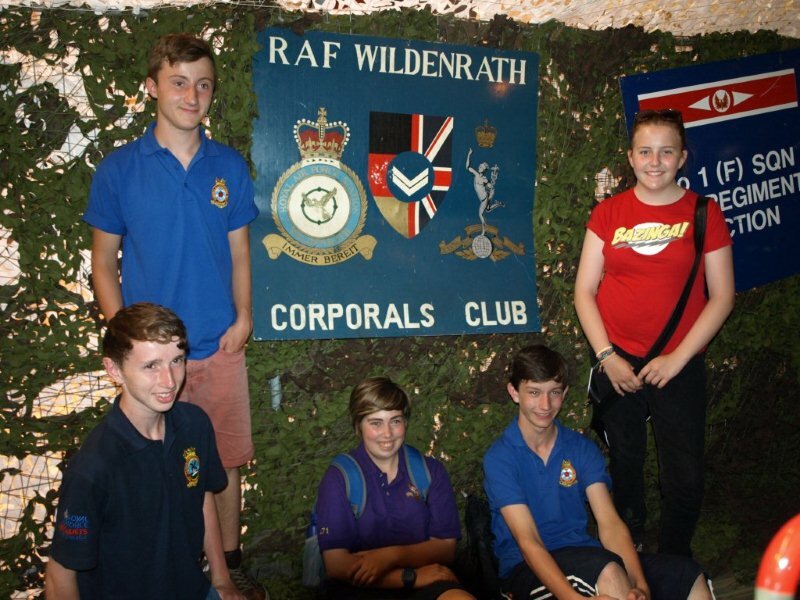 As always for these camps, the atmosphere on the coach journey to ‘Waddo’ was in stark contrast to that on the way back 7 days later – quiet anticipation and distinct dividing lines between the Squadrons being replaced by a single team and the sound of laughing and joking from those Cadets who were able to keep their eyes open after the jam packed week. 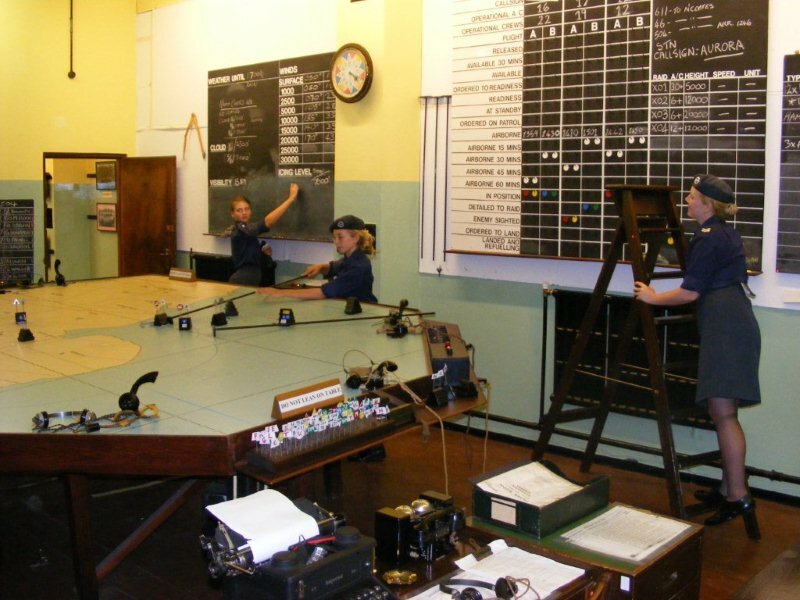 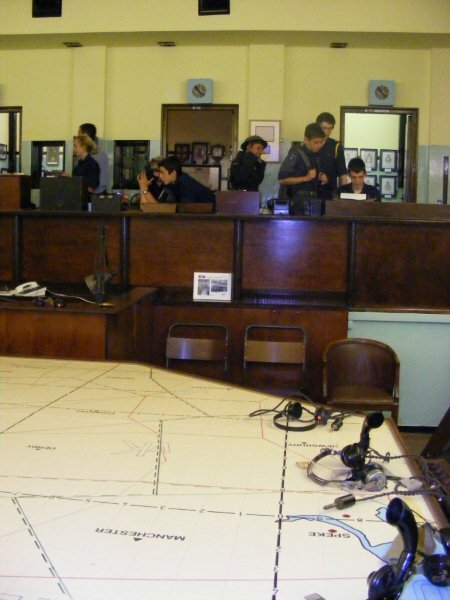 Upon arrival the Cadets were split into their 2 flights, given a quick brief and let loose on the Station for the FamEx – a traditional part of the week where the Cadets are given time to look around the station to get their bearings whilst answering a number of quiz questions. 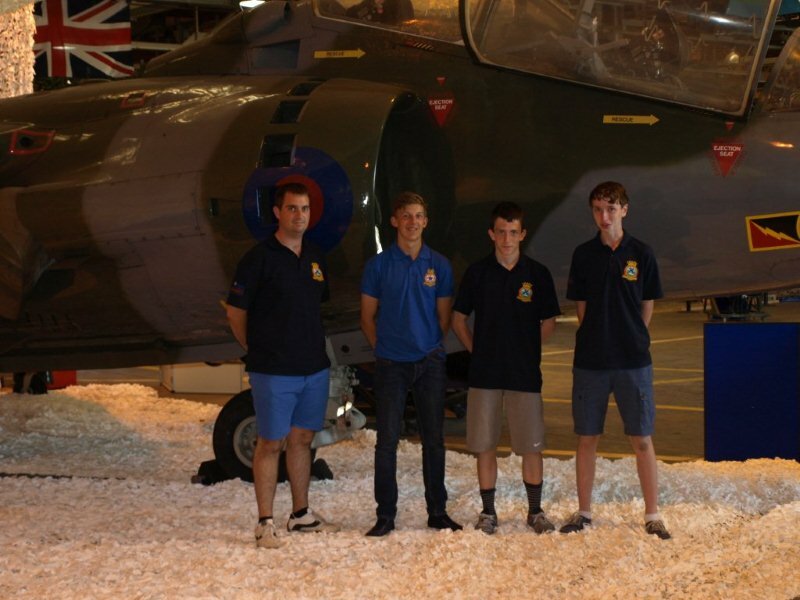 The FamEx formed the first part of the inter-flight competition which ran throughout the week. 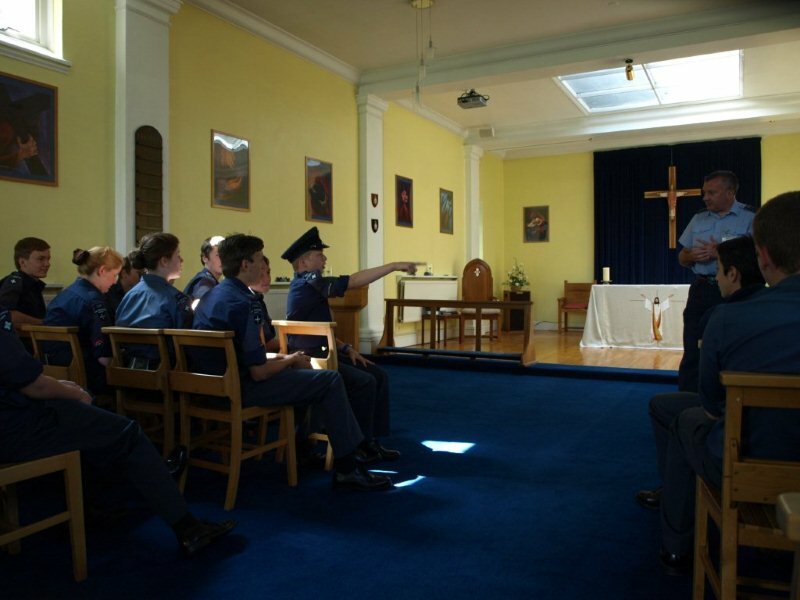 Morning room and uniform inspections were also scored and combined with scores from the drill competition, communication exercises and evening sports. 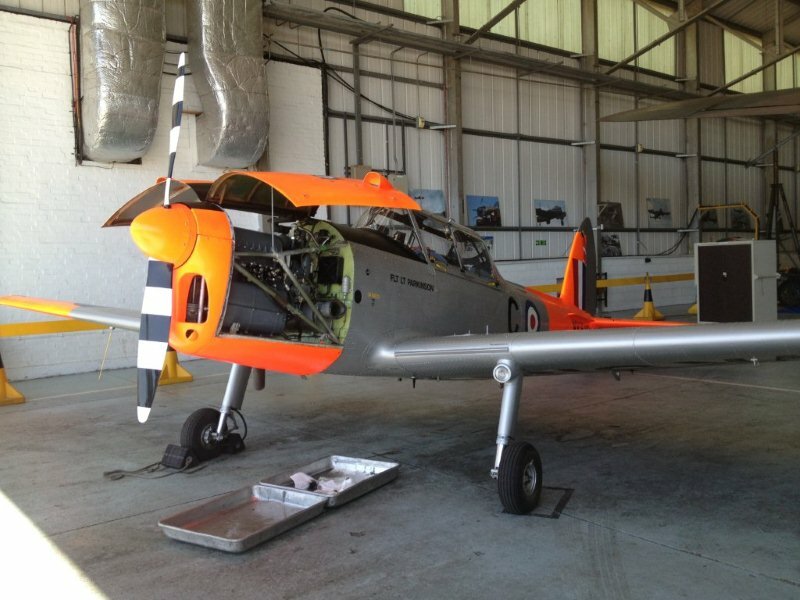 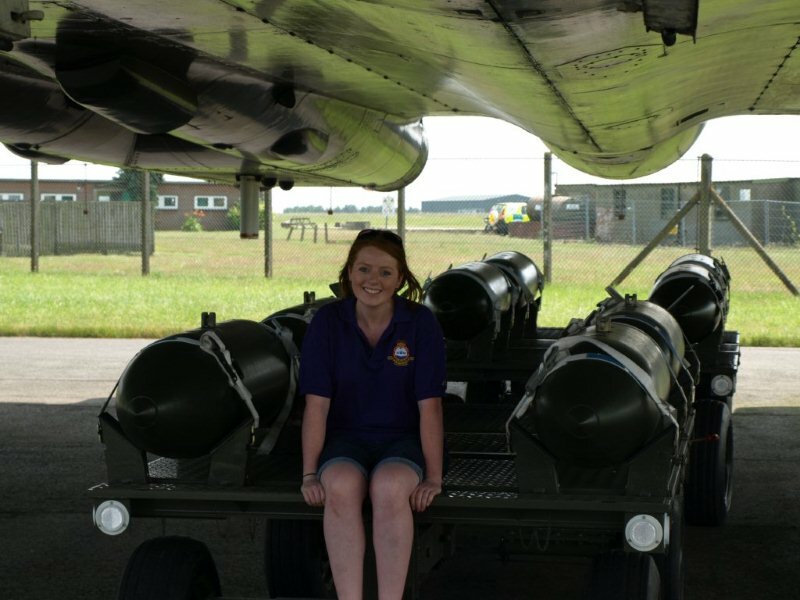 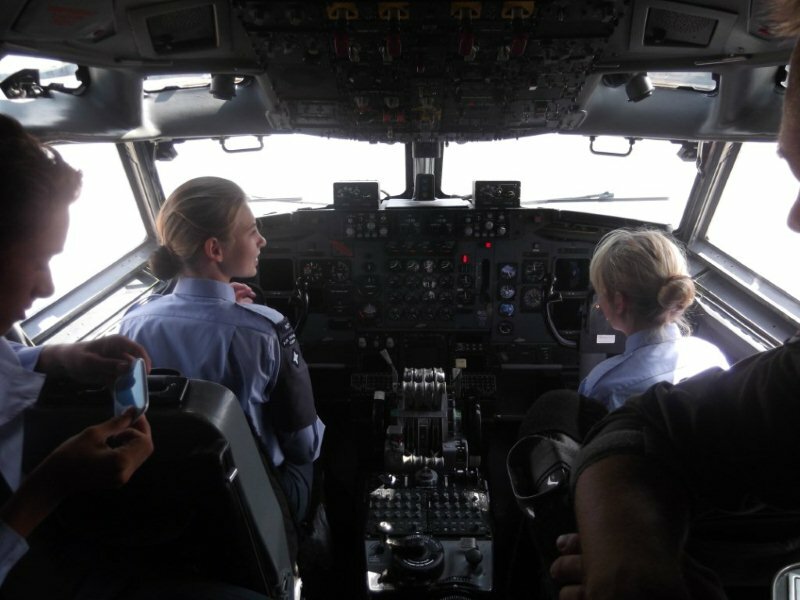 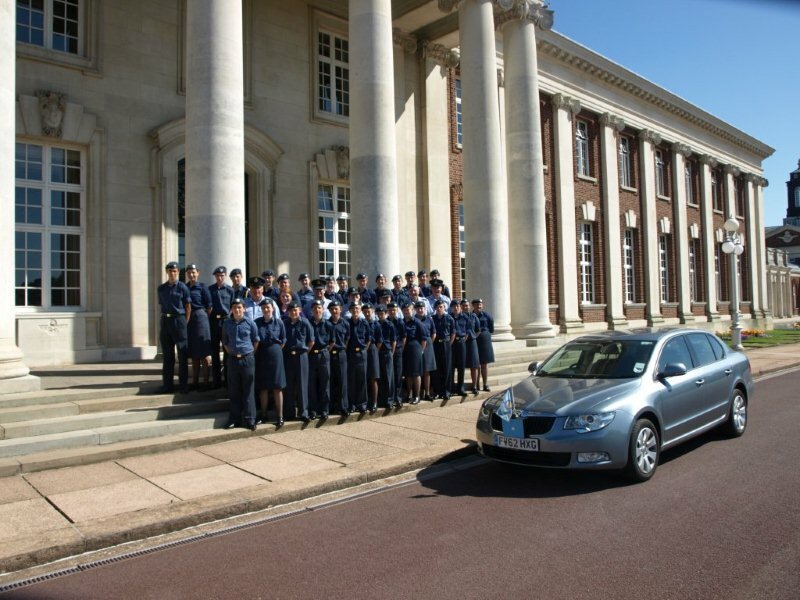 The middle of the week included a number of visits to other RAF Stations – Digby, Wittering, Conningsby and Cranwell. 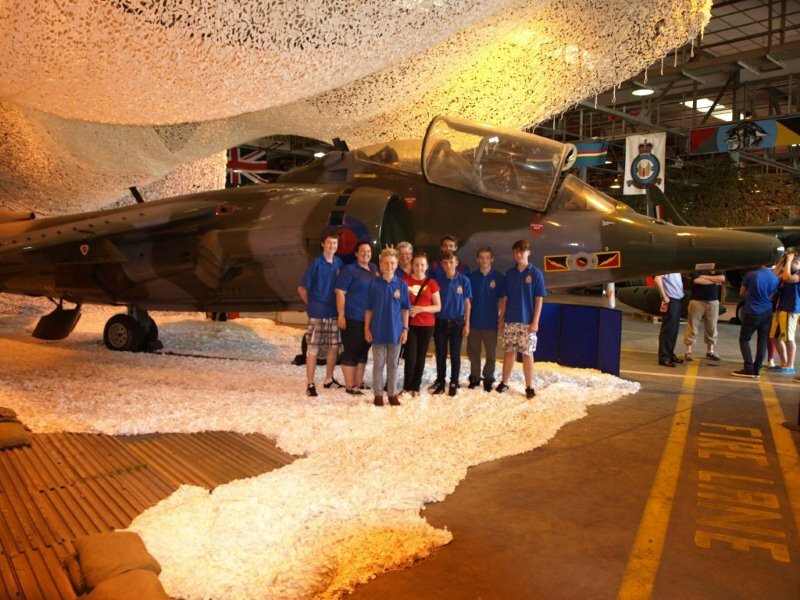 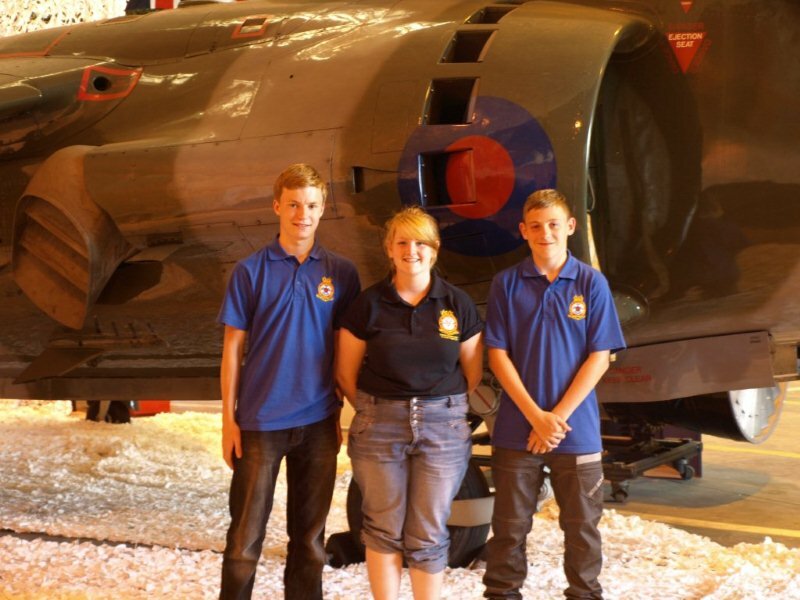 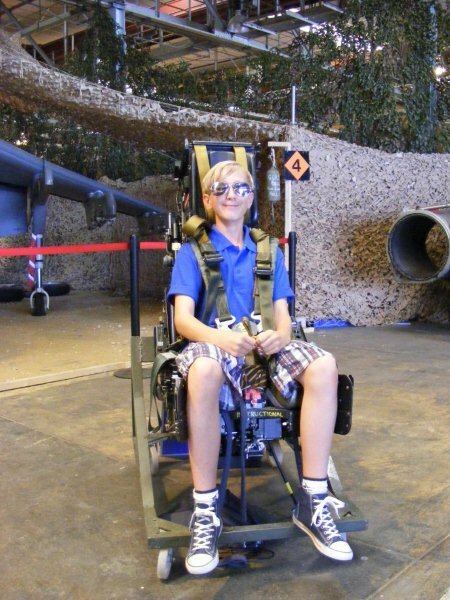 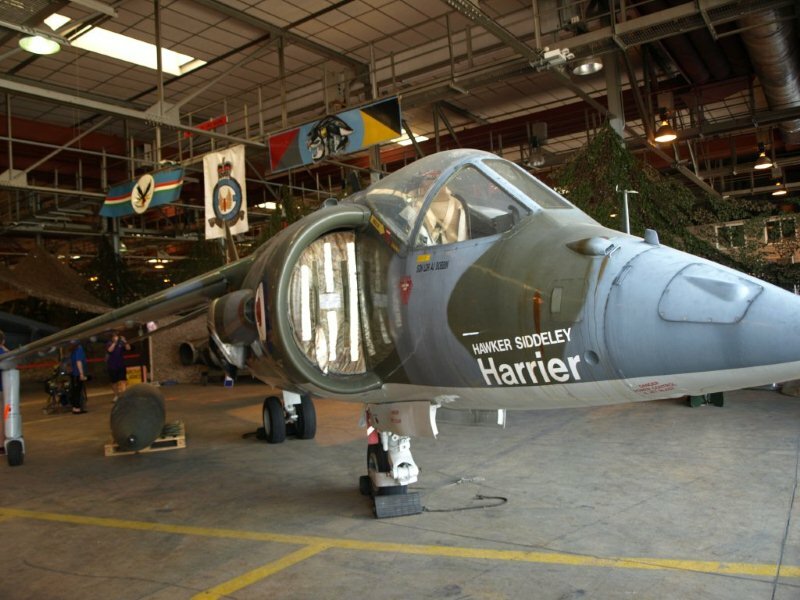 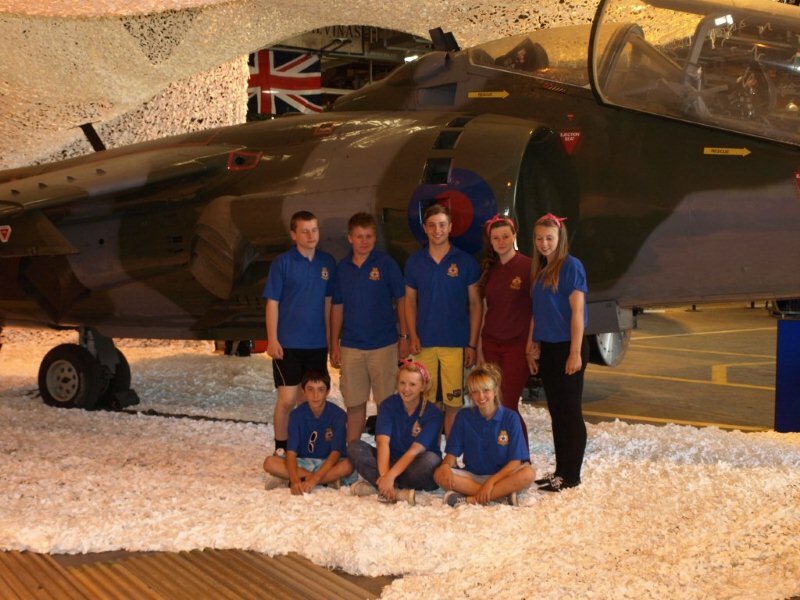 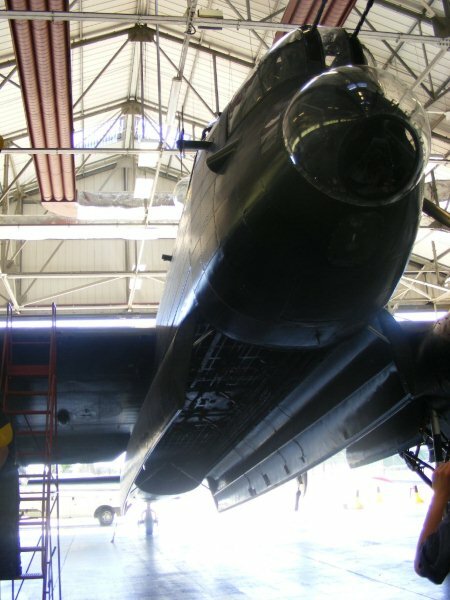 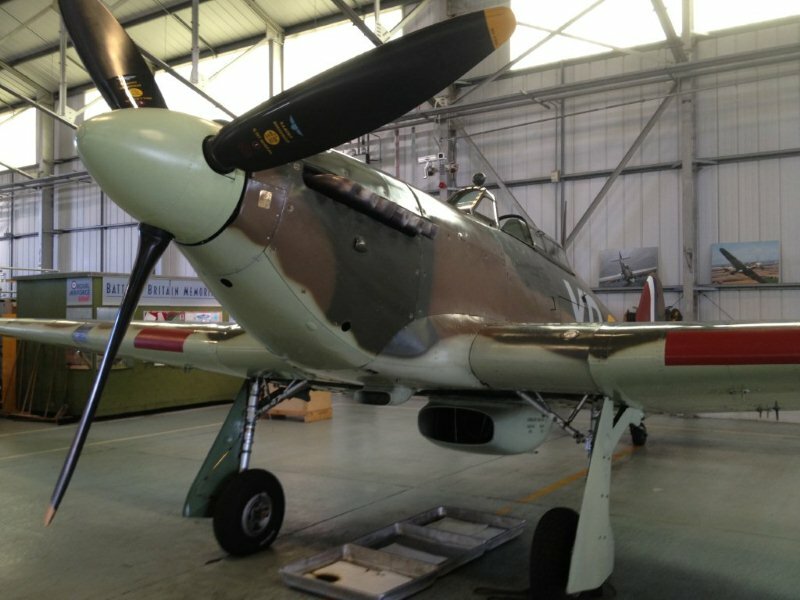 In each of these the Cadets had the opportunity to go ‘behind the scenes’; at RAF Digby being able to try on the clothes in the World War 2 Operations Museum, at RAF Wittering being given access to the Harrier heritage Hangar, at RAF Conningsby having the opportunity to get up close and personal with the Battle of Britain Memorial Flight aircraft and finally, at RAF College Cranwell being shown around College Hall Officer’s Mess (Remember – don’t stand on the red carpet!). 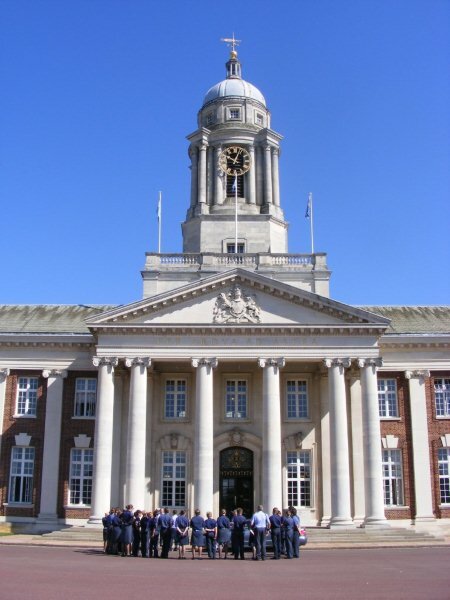 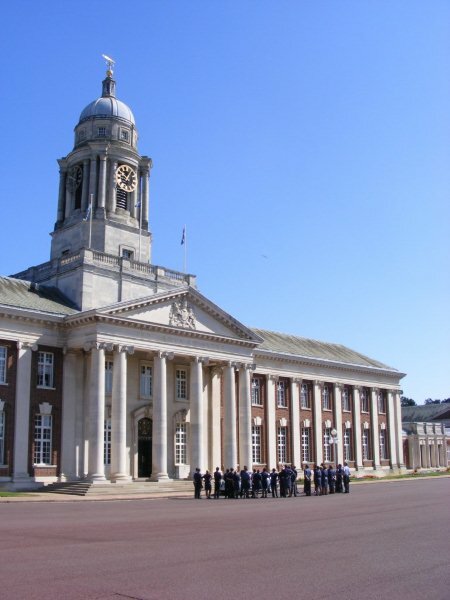 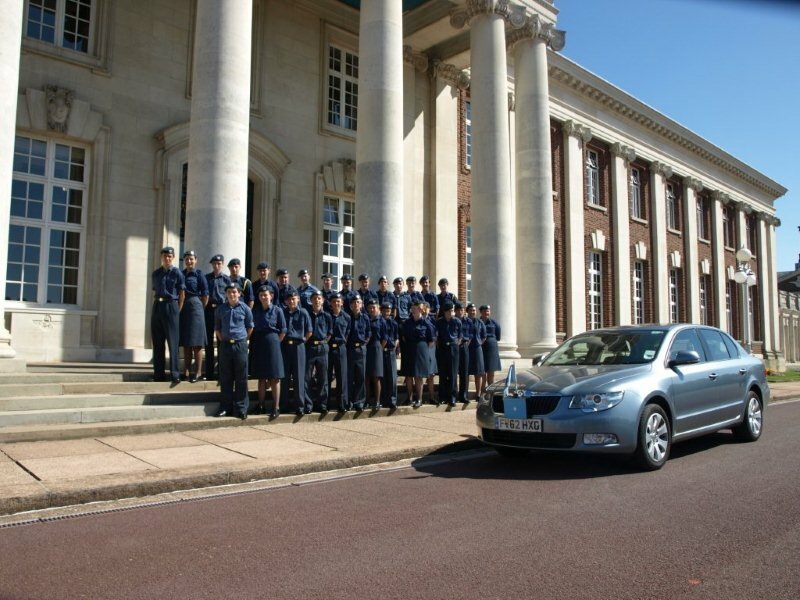 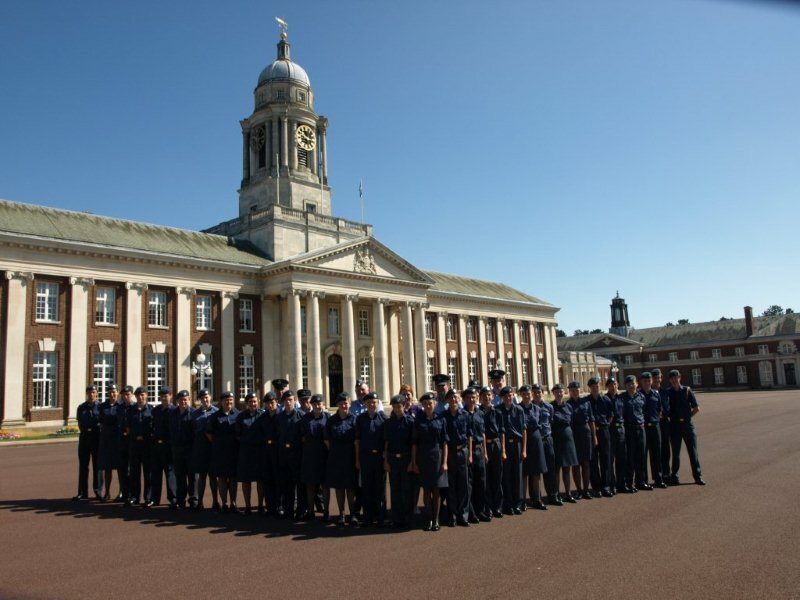 During the visit to RAF Cranwell, an impromptu house call was made to Headquarter Air Cadets (HQAC) for a photo. 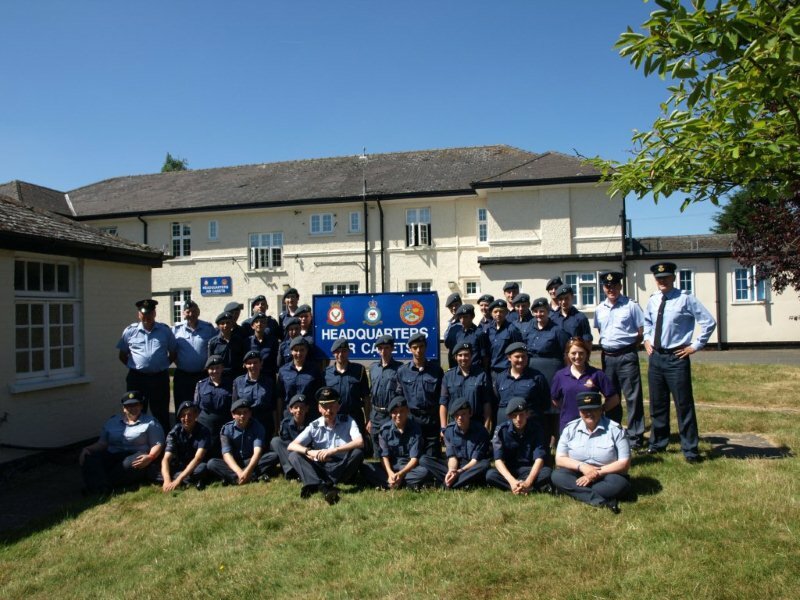 Unfortunately Air Commodore Dawn McCafferty (Commandant of the Air Cadets) was out of the office visiting the Cadets at Royal Inter national Air Tattoo, however, we were joined by her Chief of Staff, Group Captain John Lawlor. 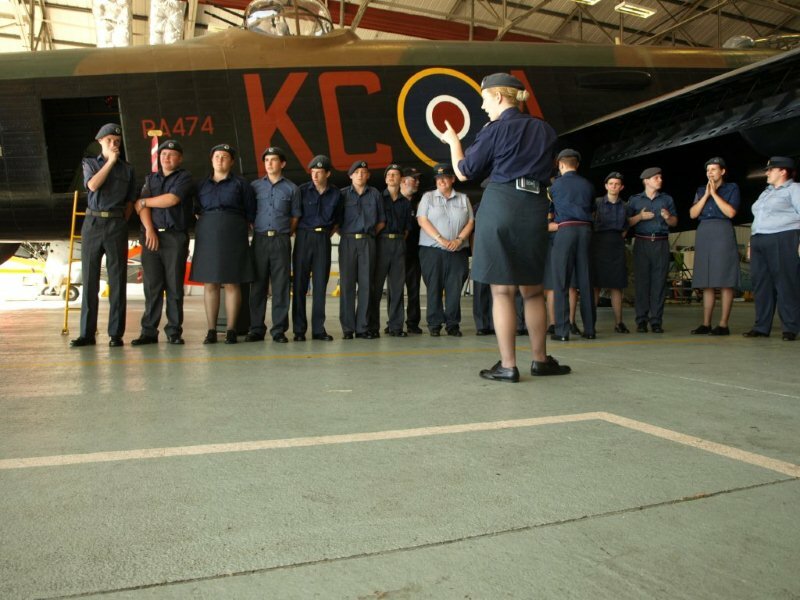 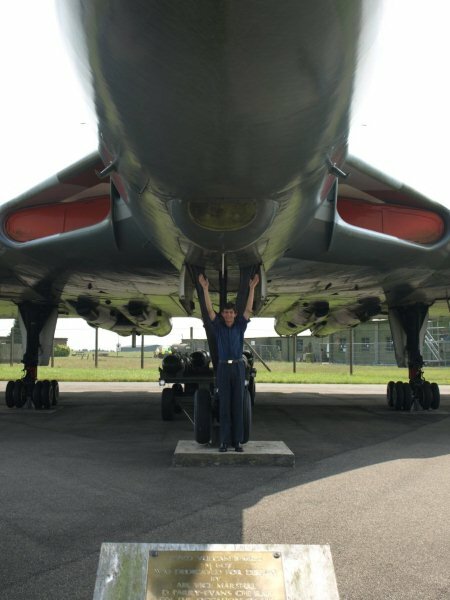 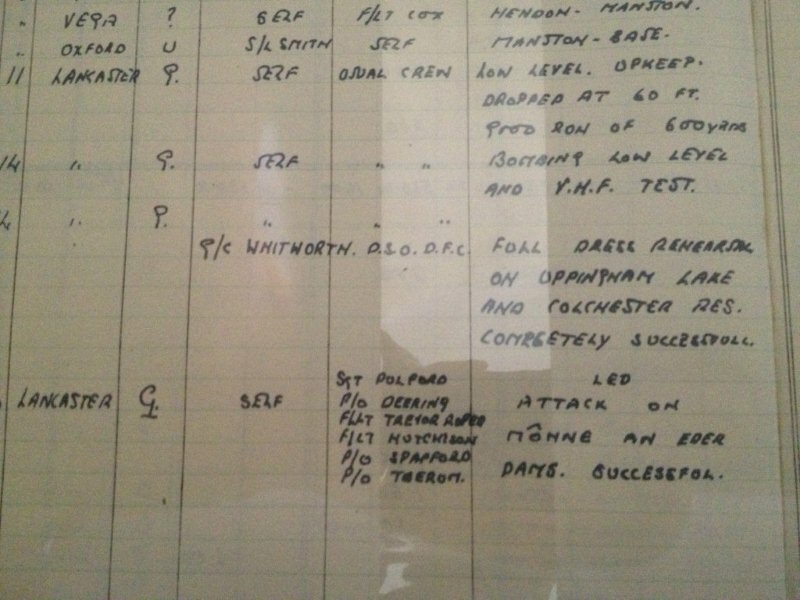 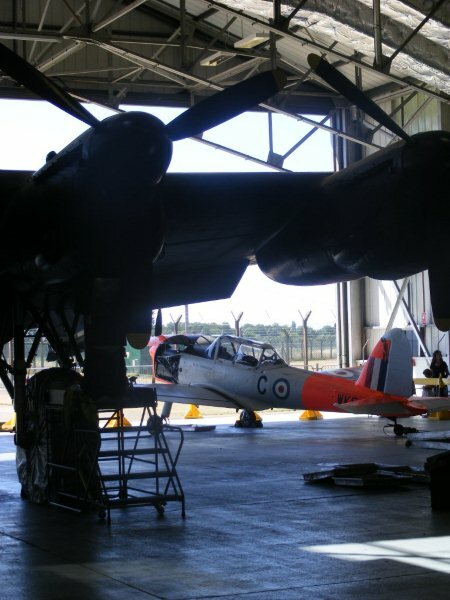 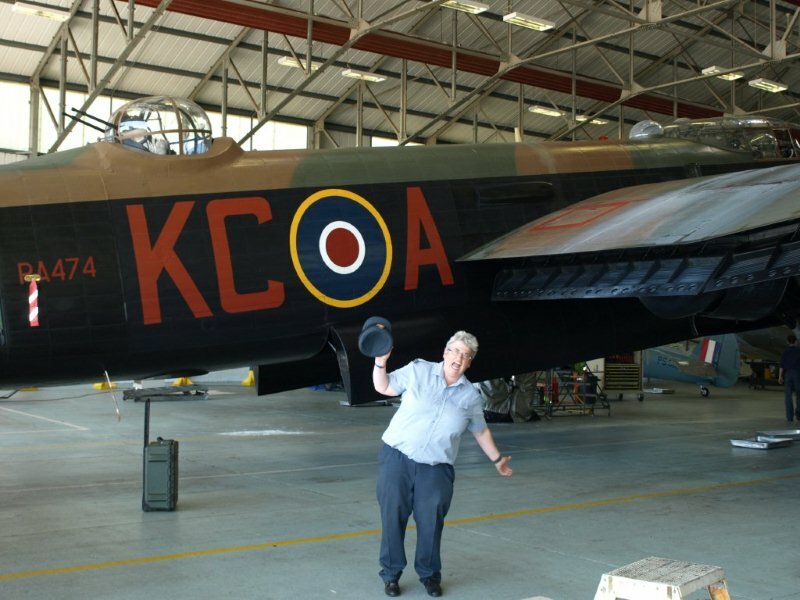 Later that day the Air Commodore ‘tweeted’ to say that she was sorry she had missed us! 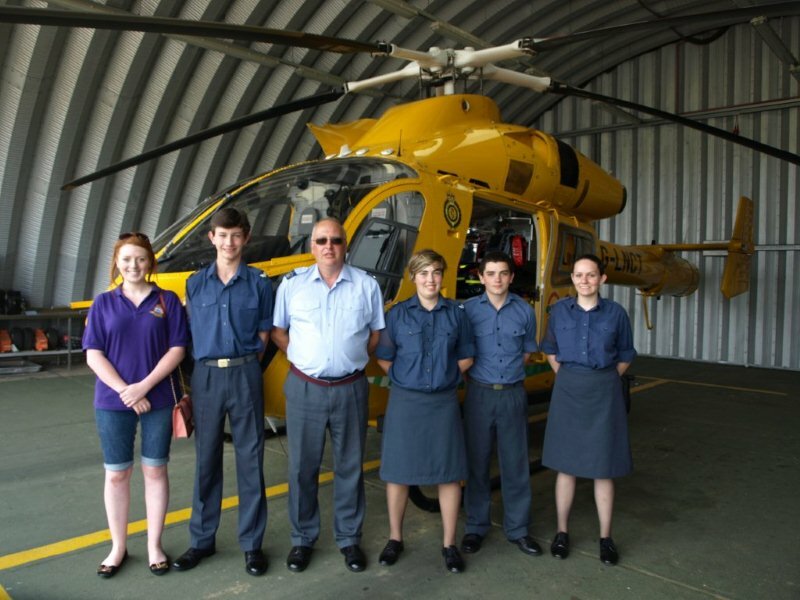 The week also included a lot of visits to different areas of the Station, including the Fire Section and the local Air Ambulance which is based on site. 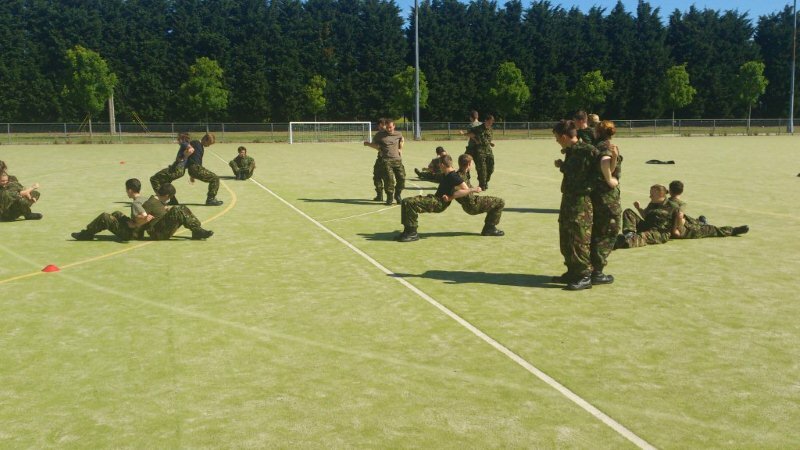 At the Fire Section the Cadets took part in hose running races; giving the Cadets an appreciation of just how hard the job of a fireman is! 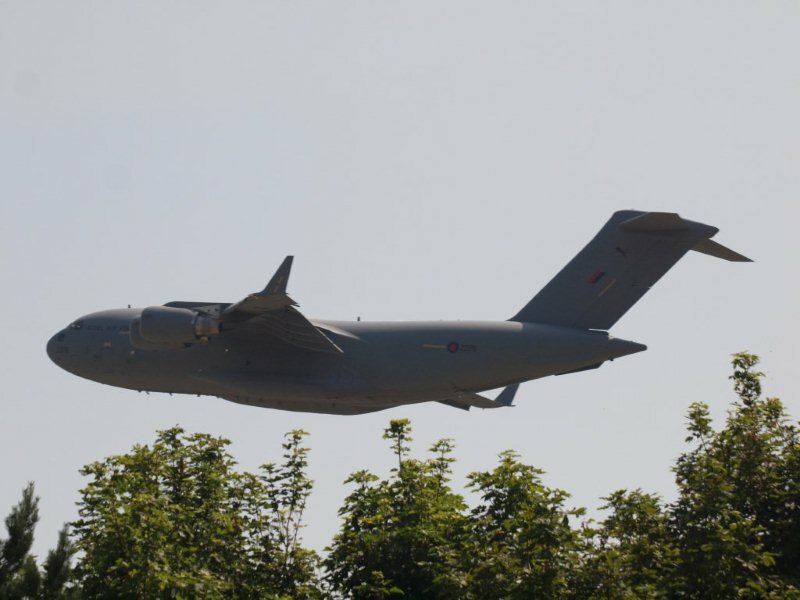 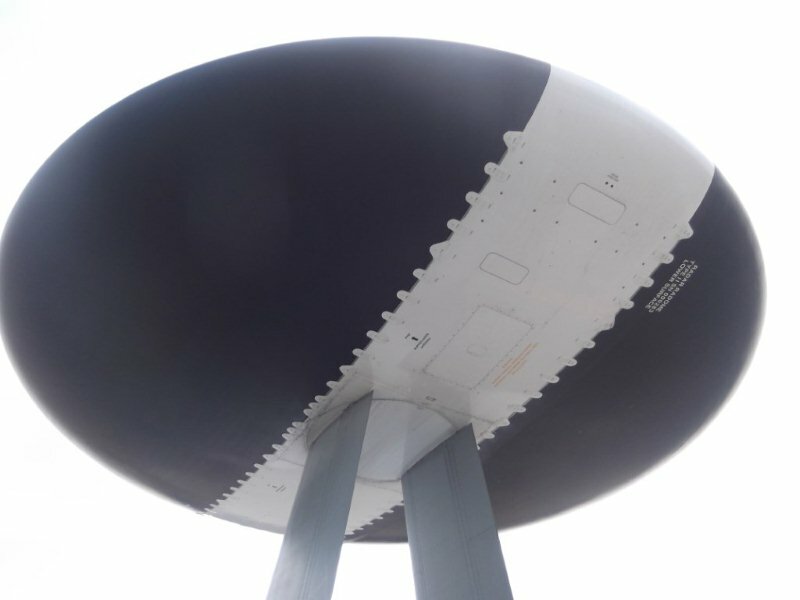 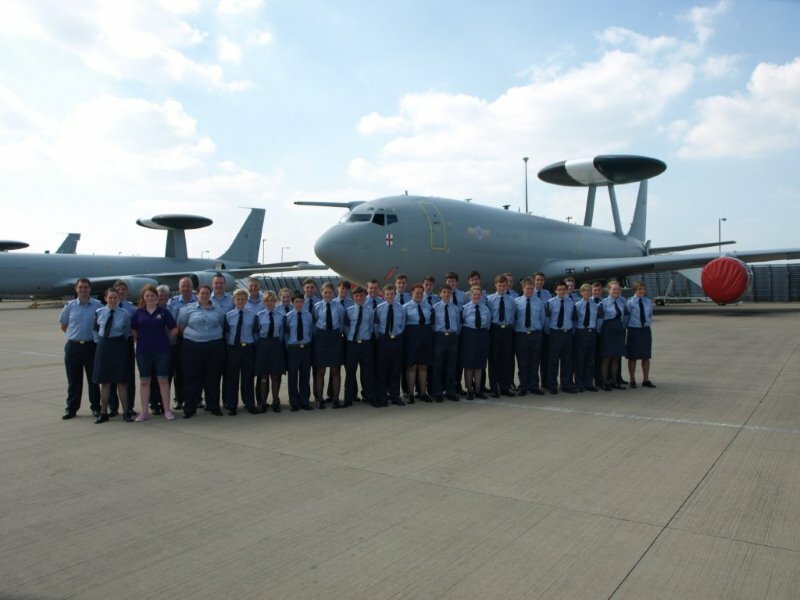 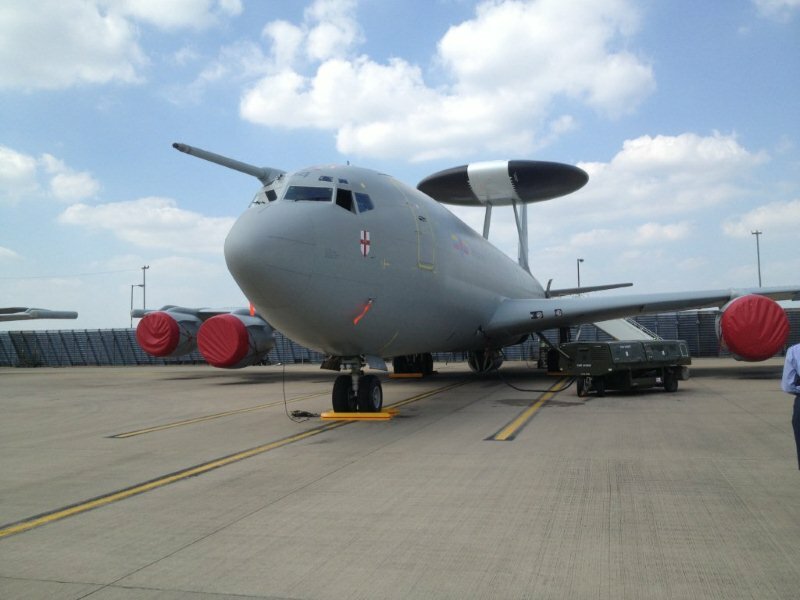 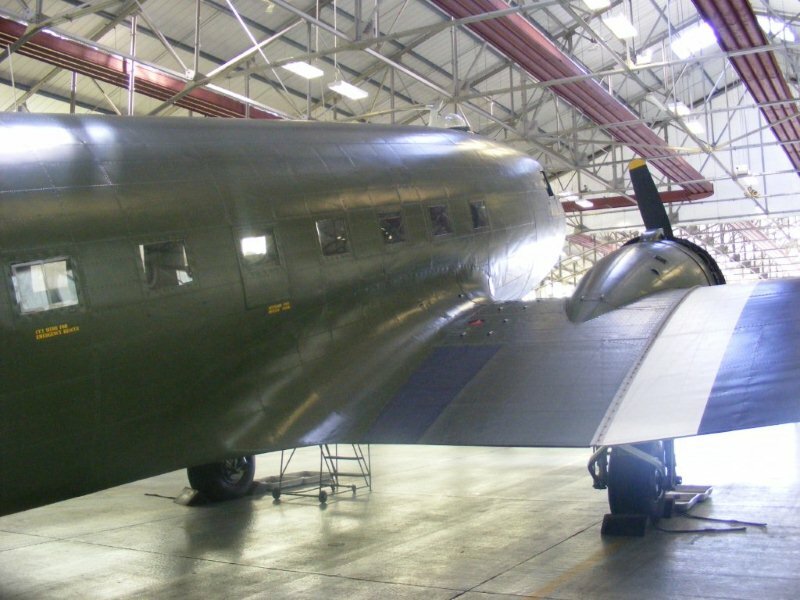 Unfortunately, there was no flying for the Cadets during the week, however, that didn’t stop the Cadets having a tour of the largest aircraft on the Station, the AWACS E3D Sentry, and each taking a turn at trying to land the giant 4 engined aircraft in the dynamic simulator. 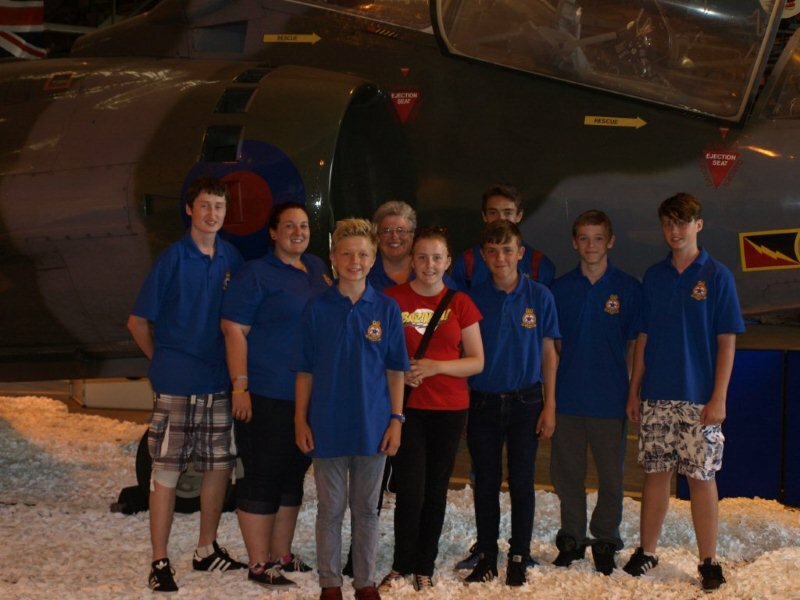 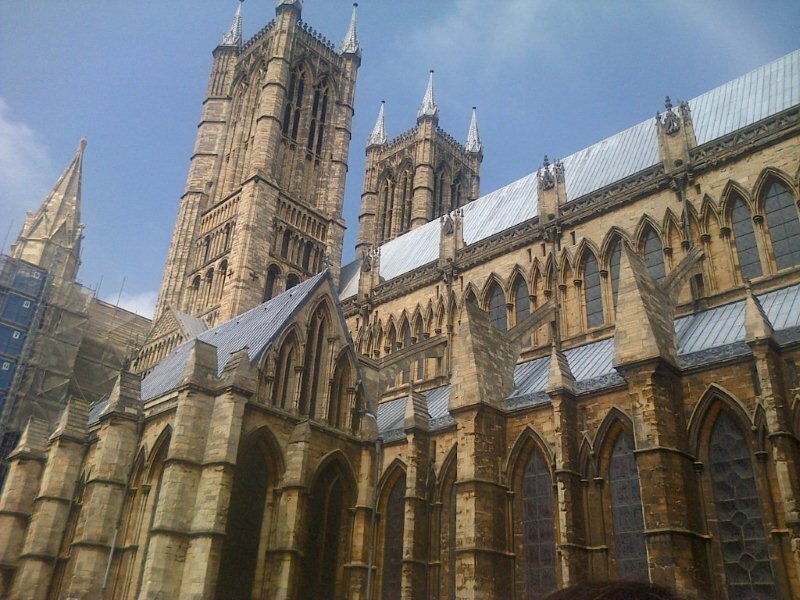 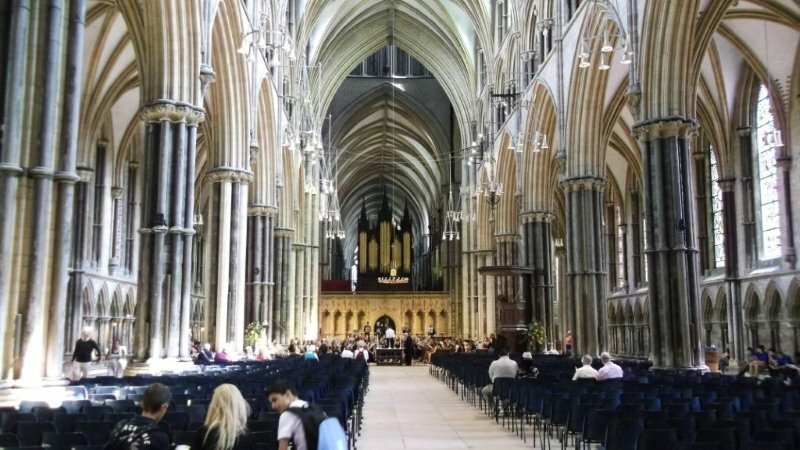 As well as getting an appreciation of life in the RAF, the Cadets were also given the opportunity to see the local area with a day trip to Lincoln and a return trip in the evening where we took part in a Ghost Tour of the city! 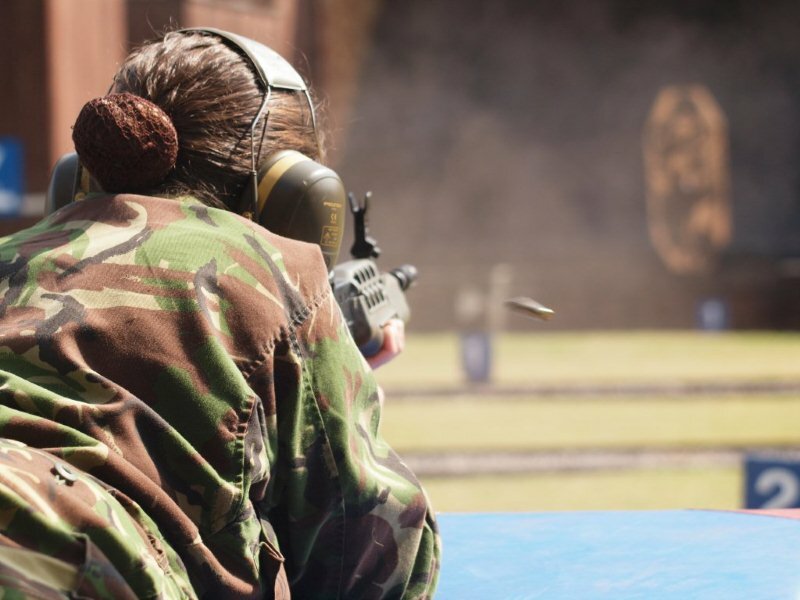 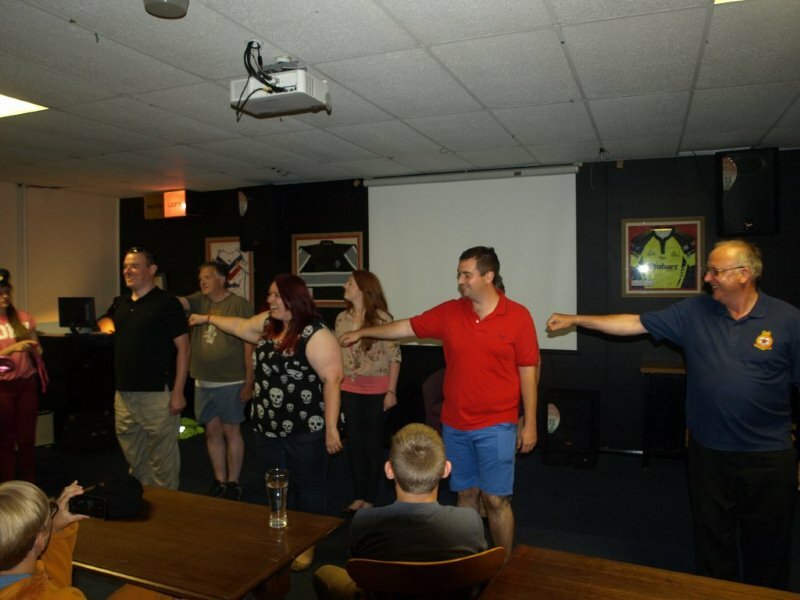 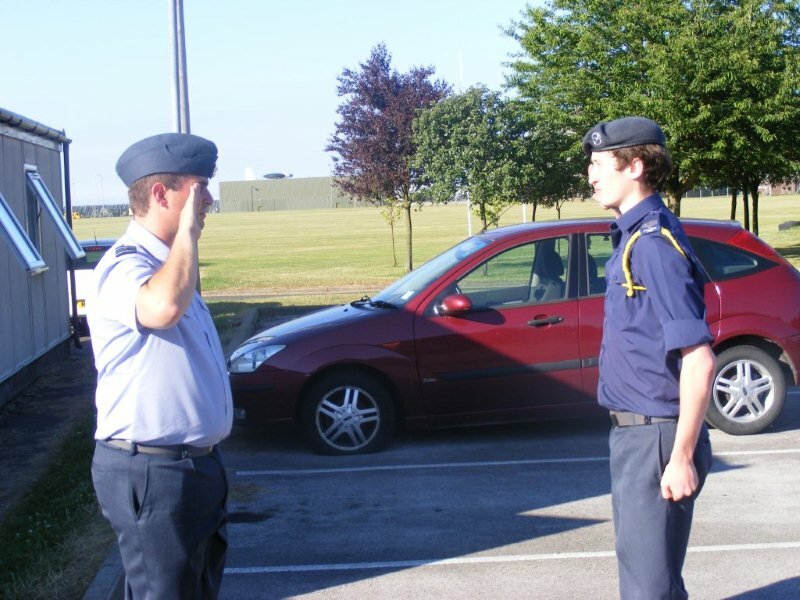 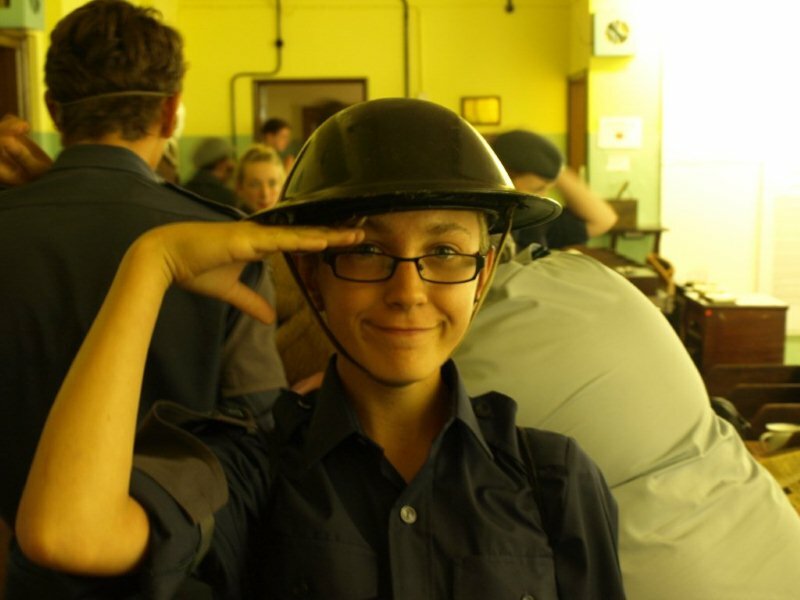 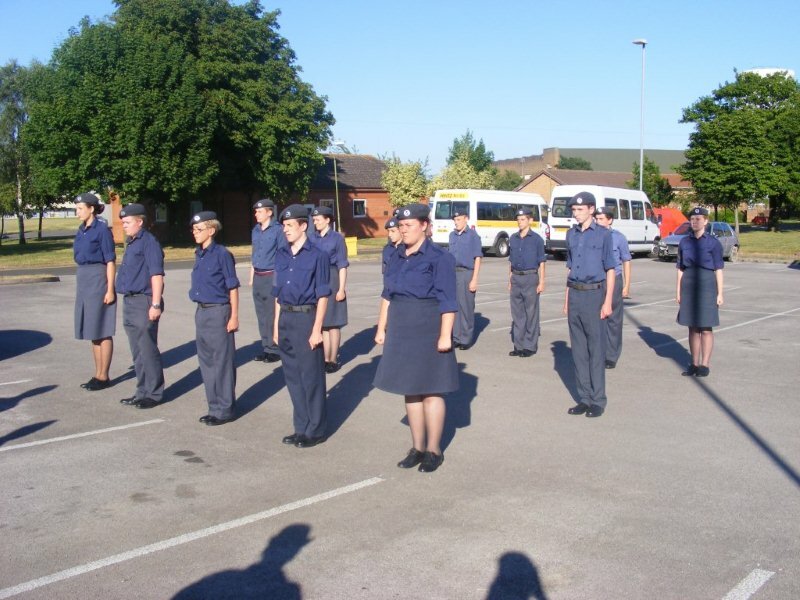 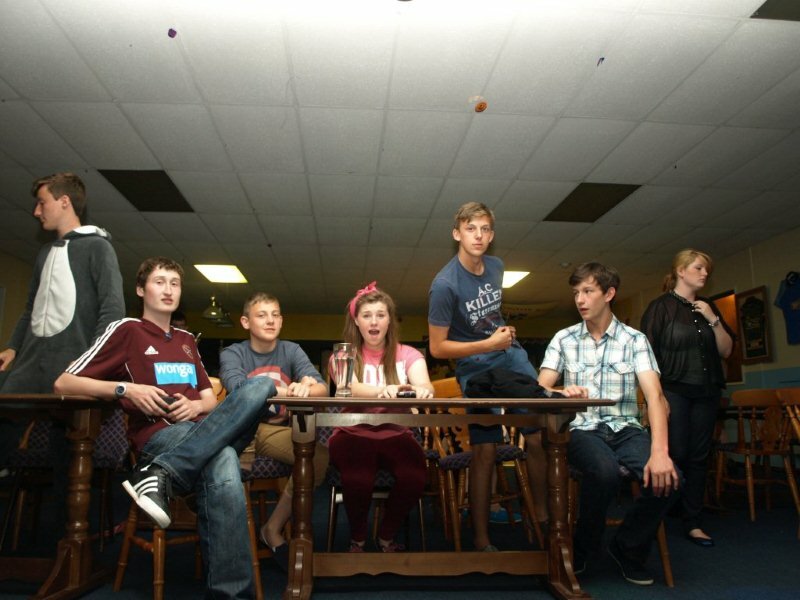 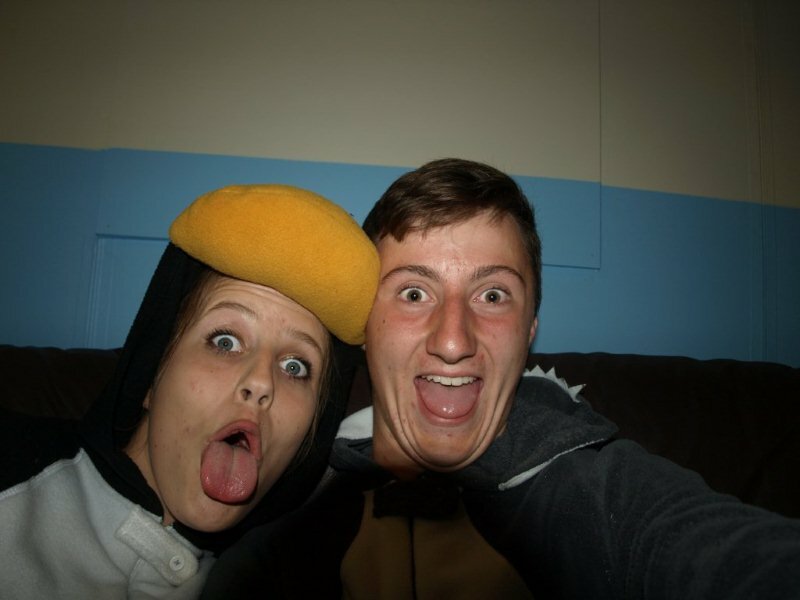 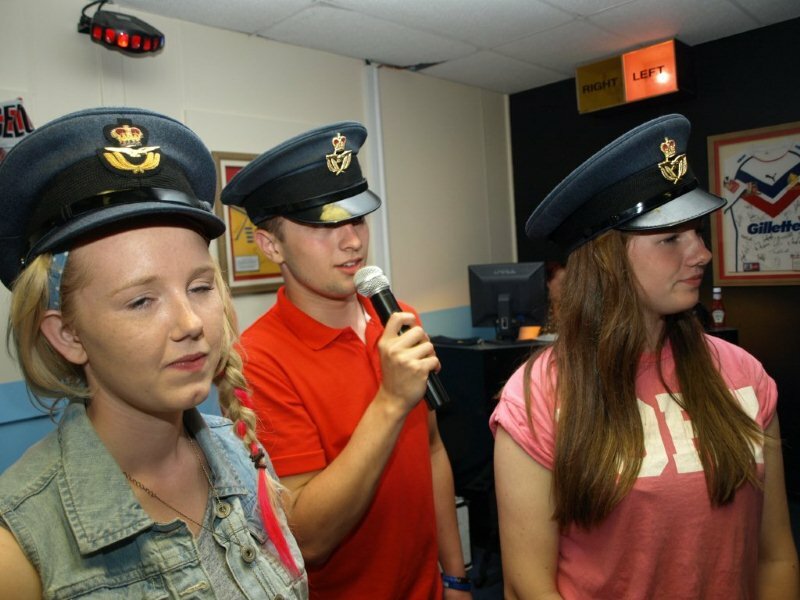 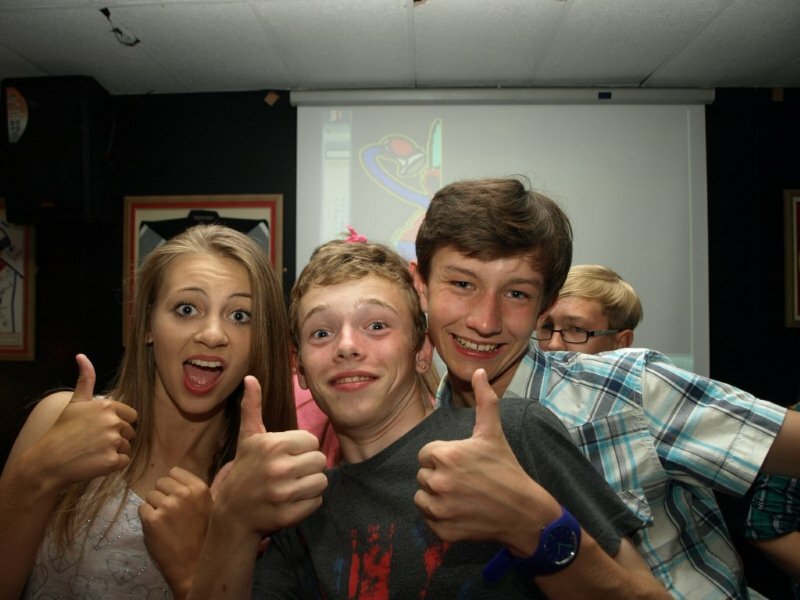 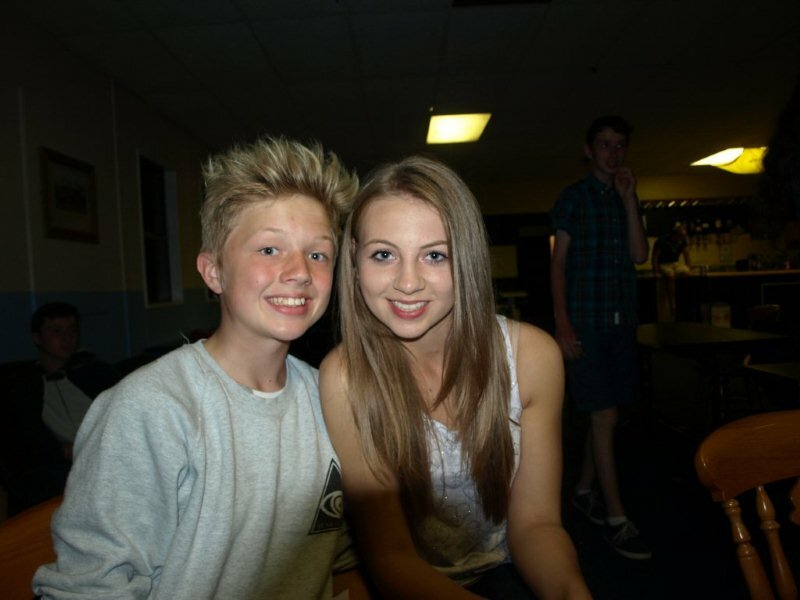 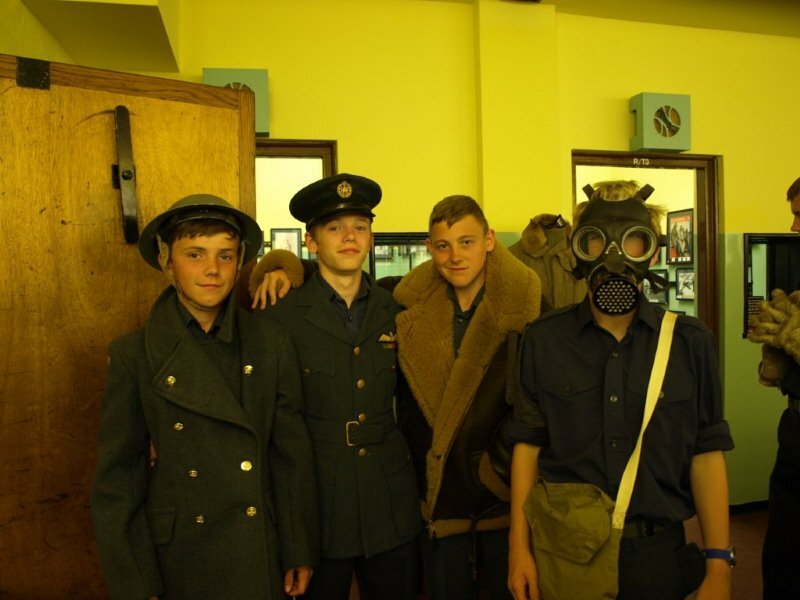 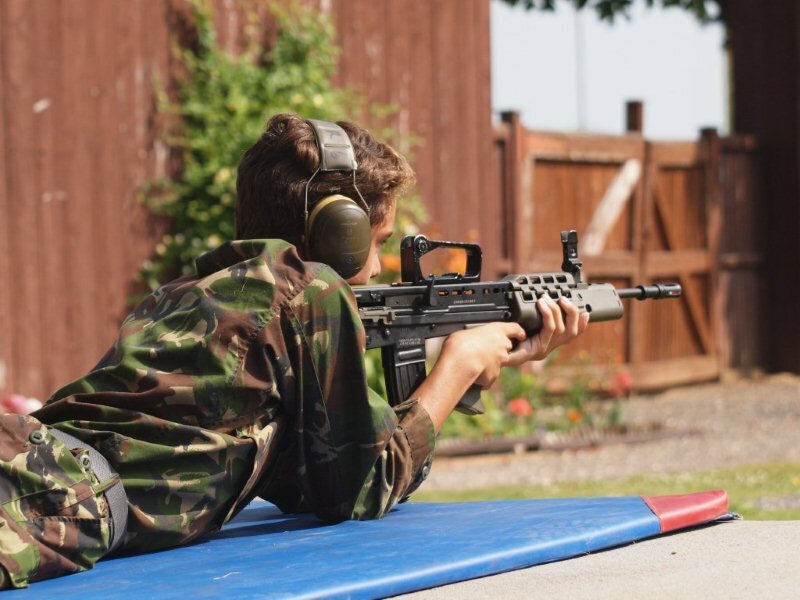 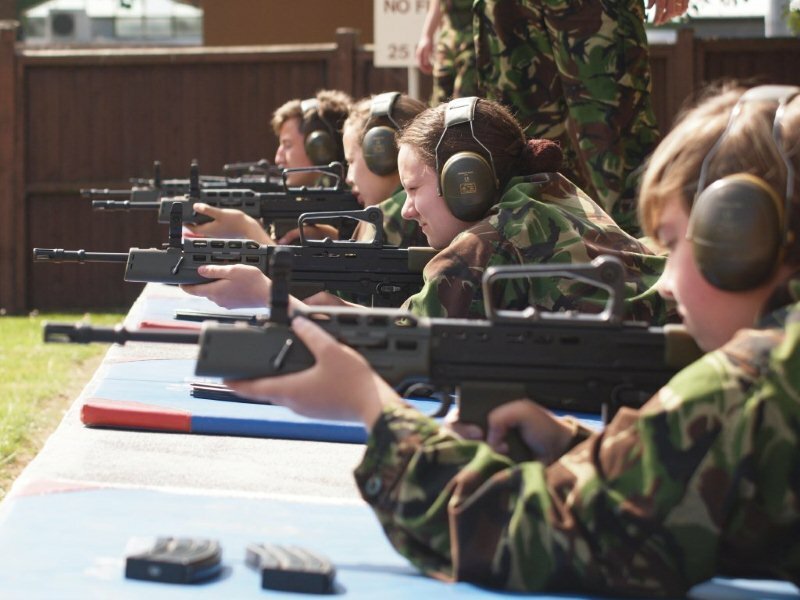 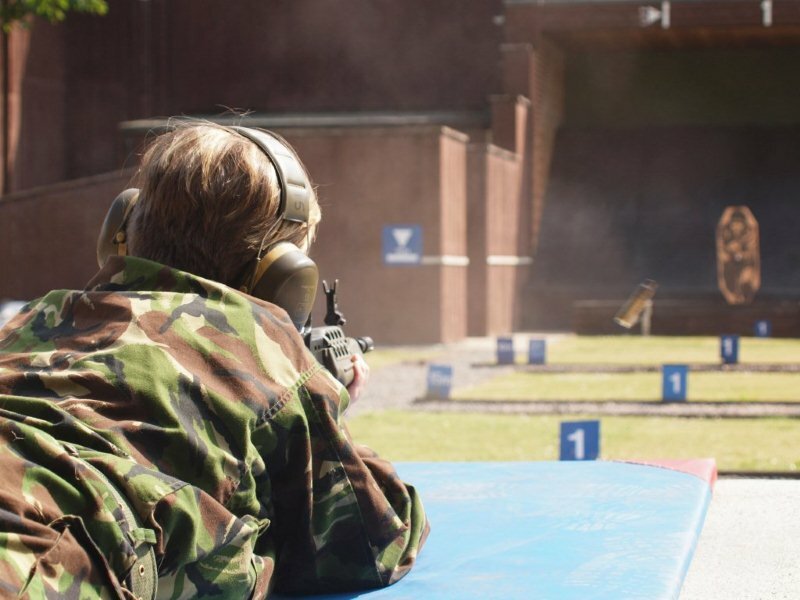 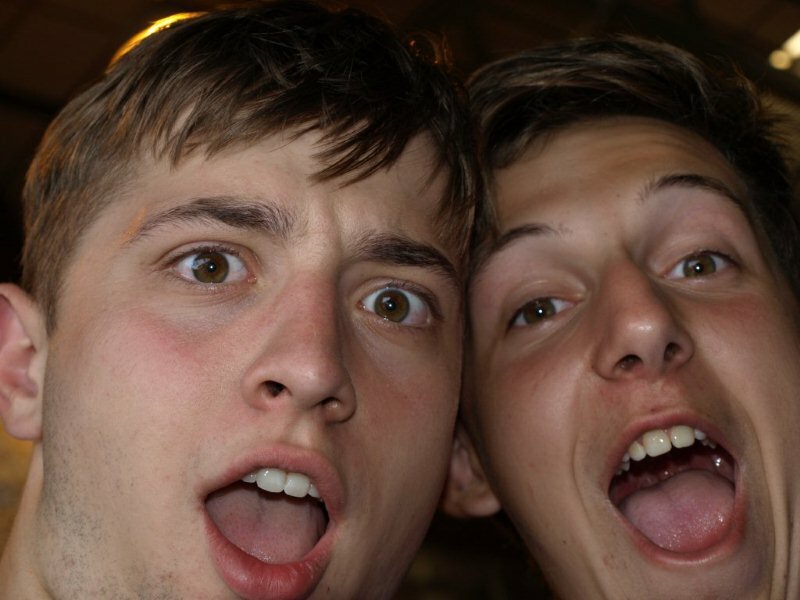 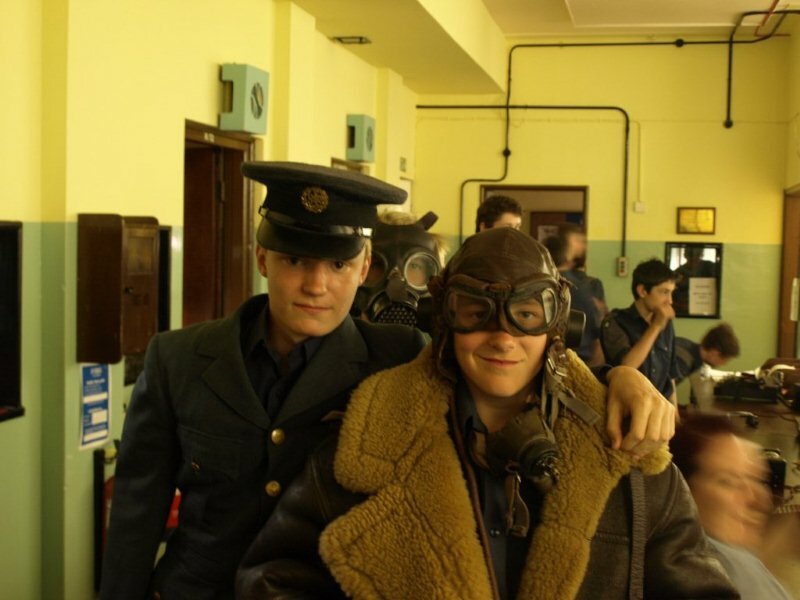 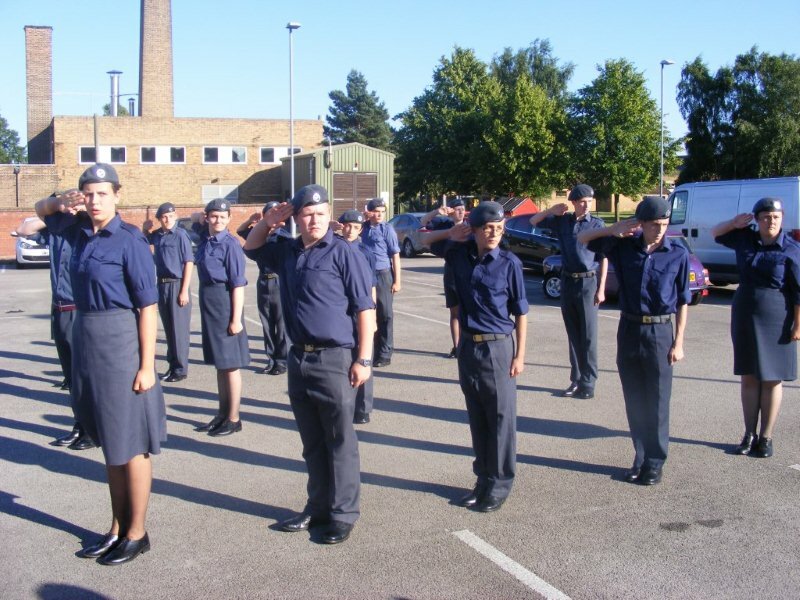 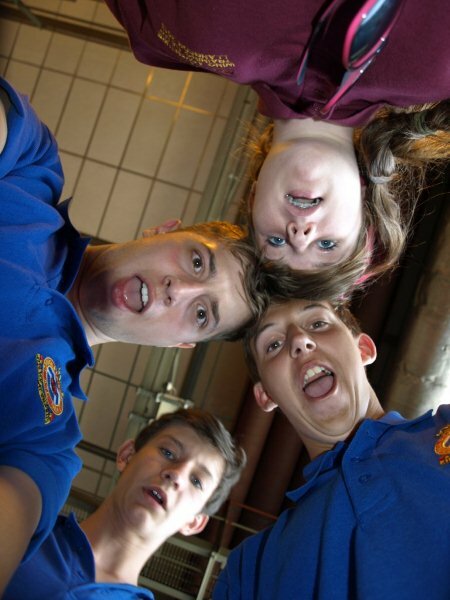 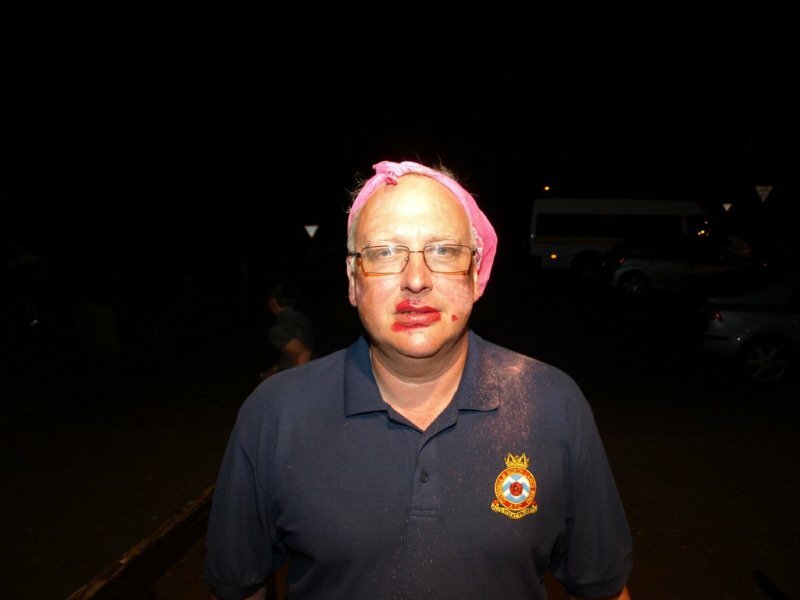 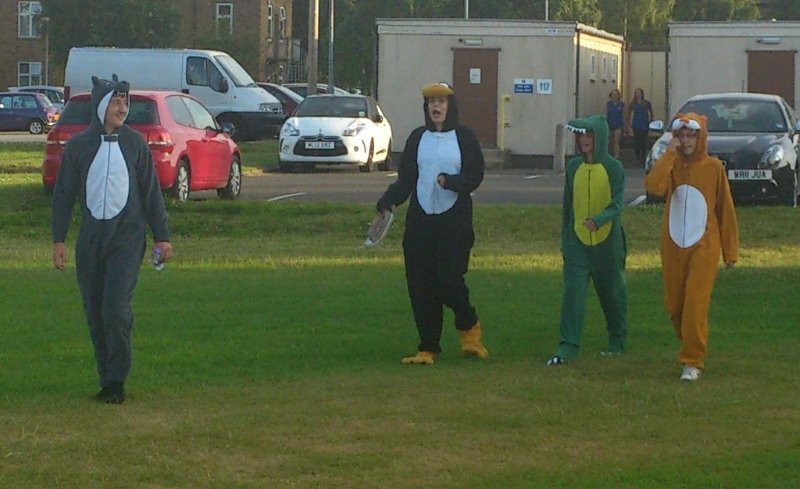 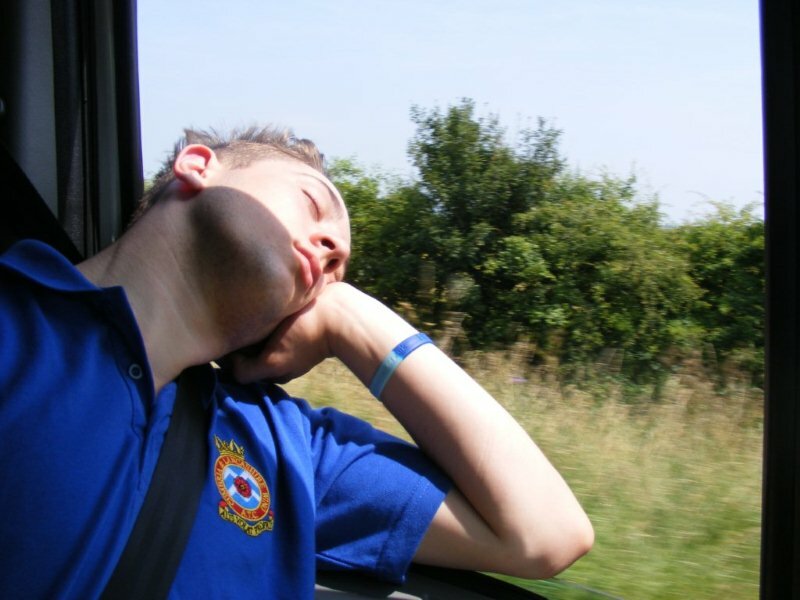 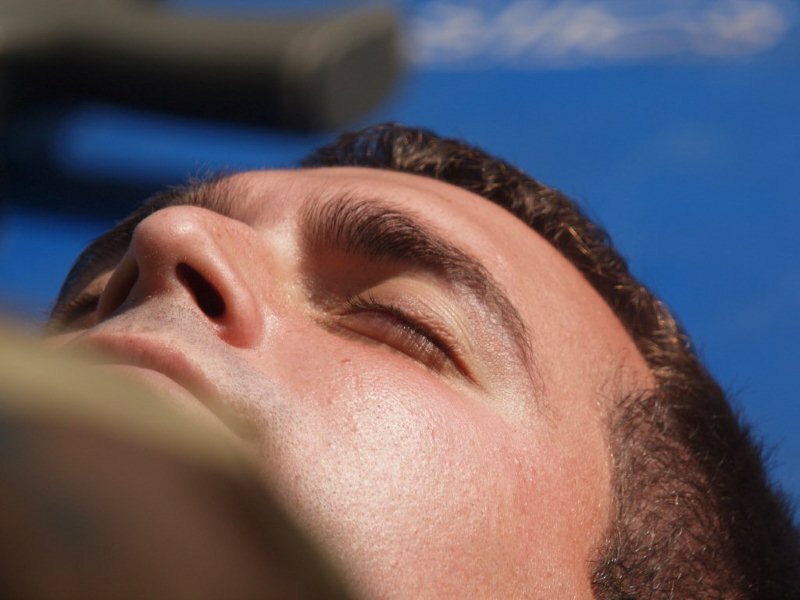 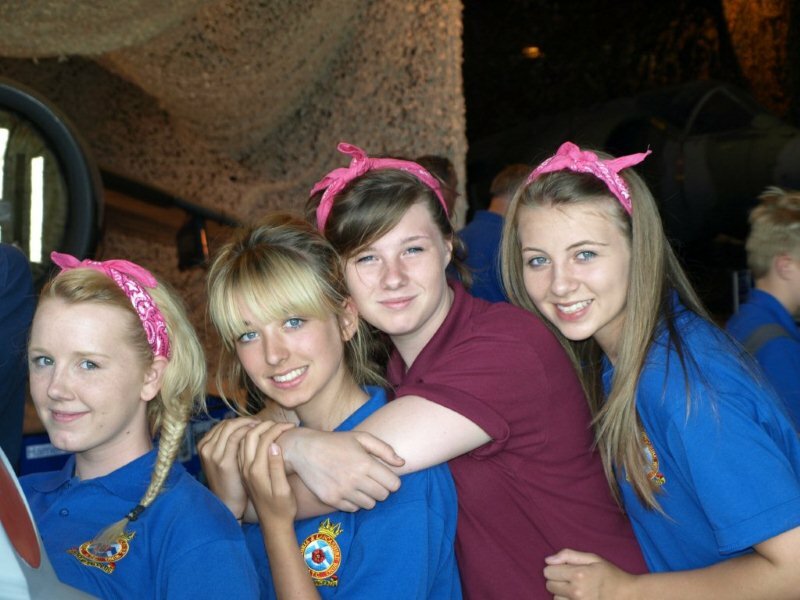 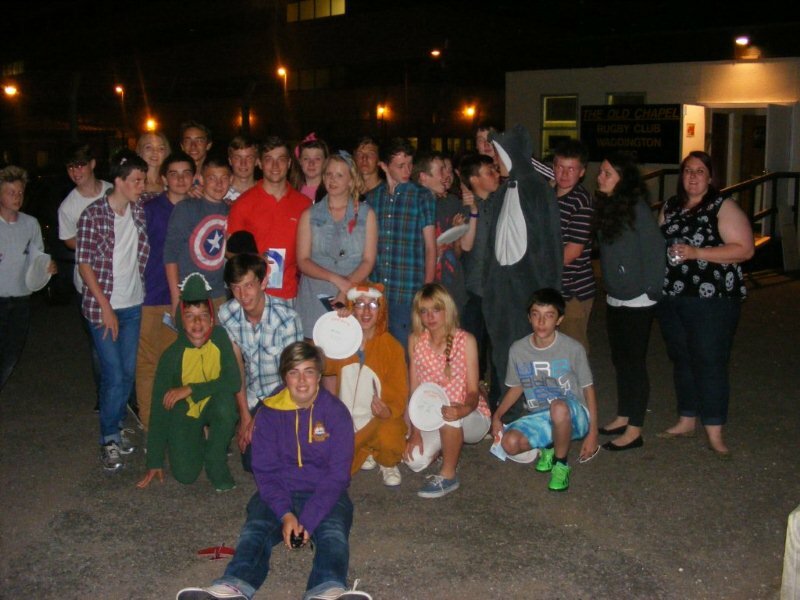 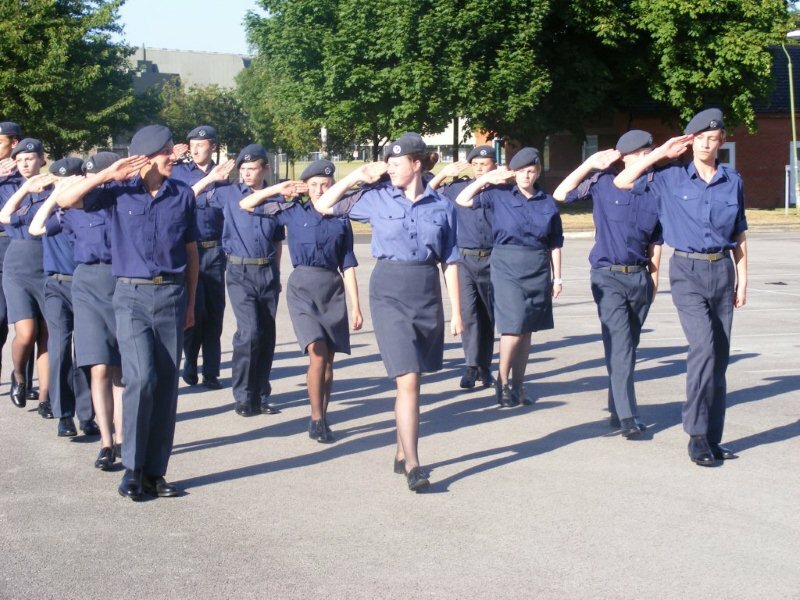 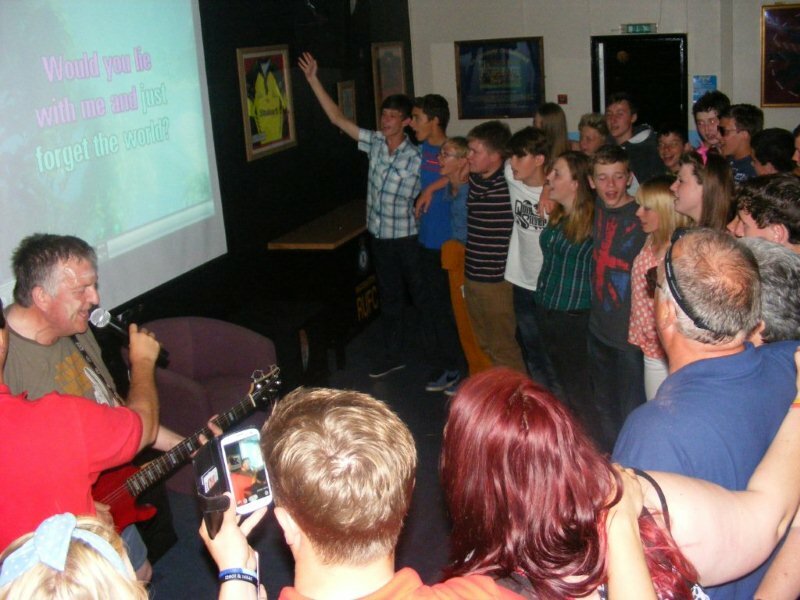 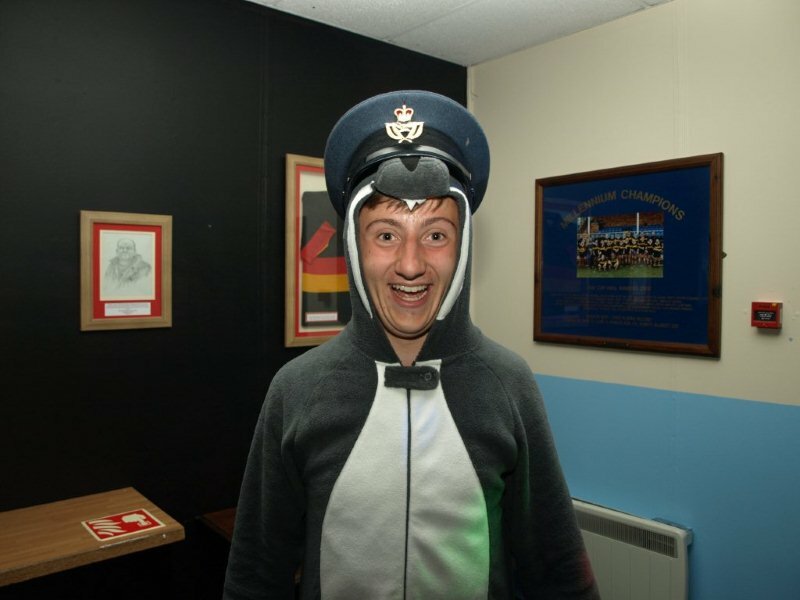 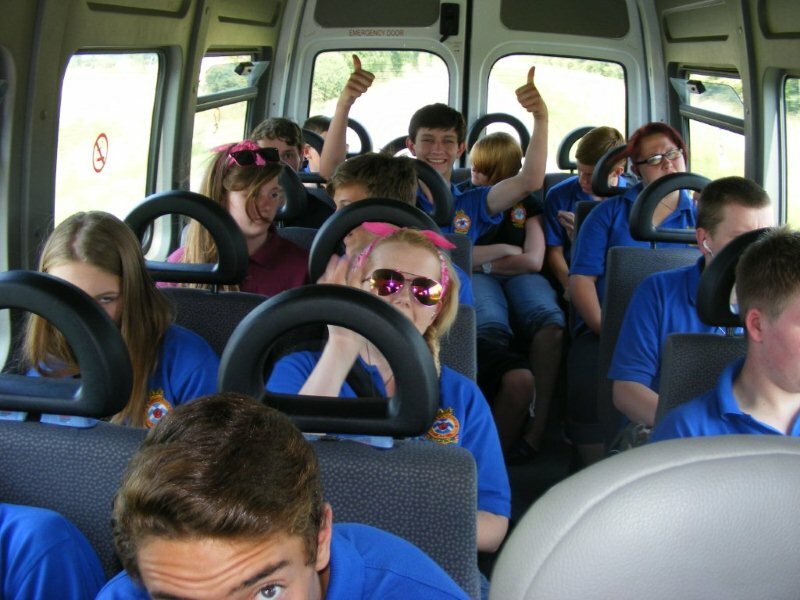 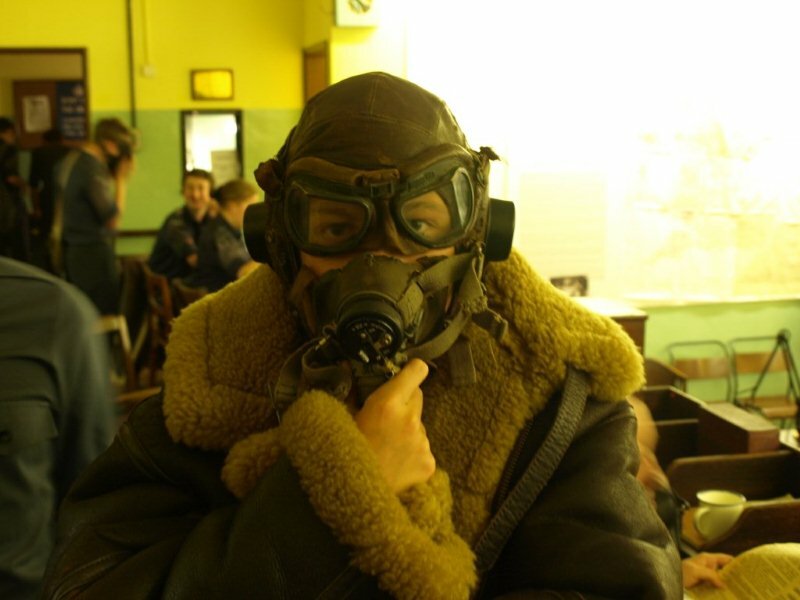 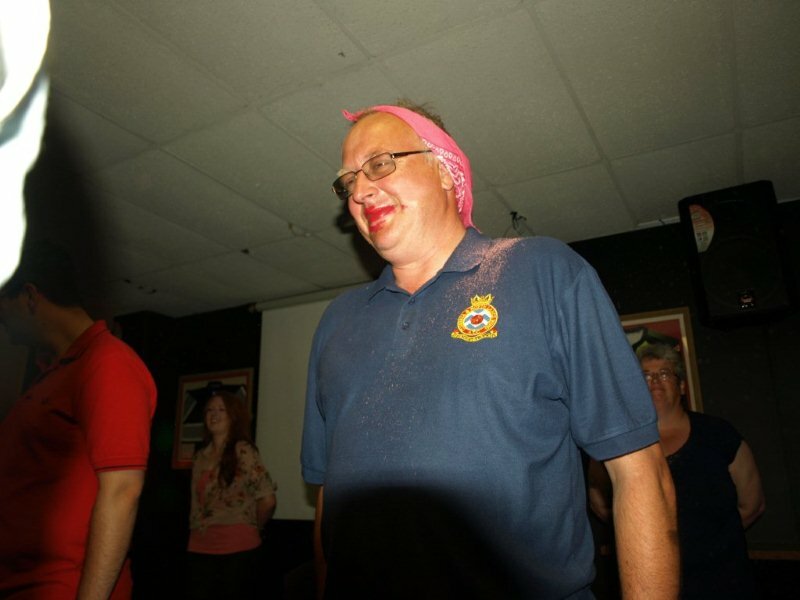 Annual Camp’s have a big social side to them for the Cadets and RAF Waddington was no different. 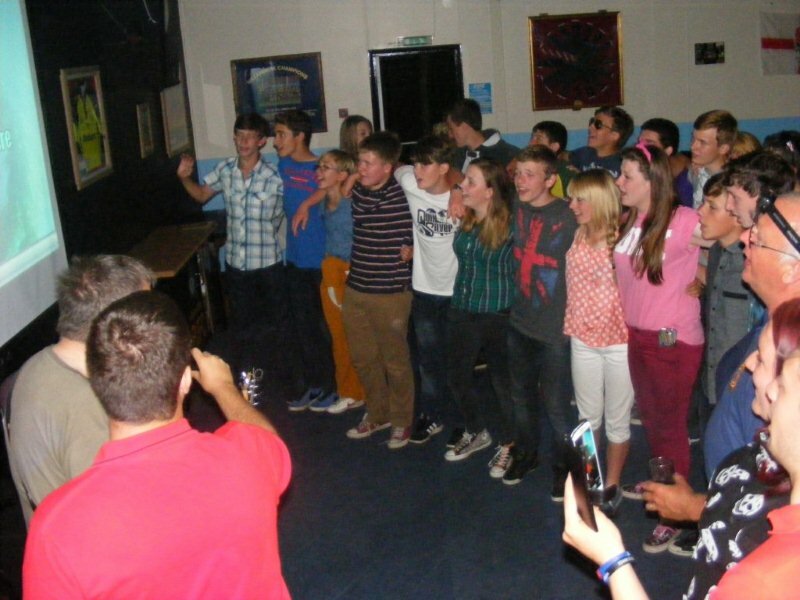 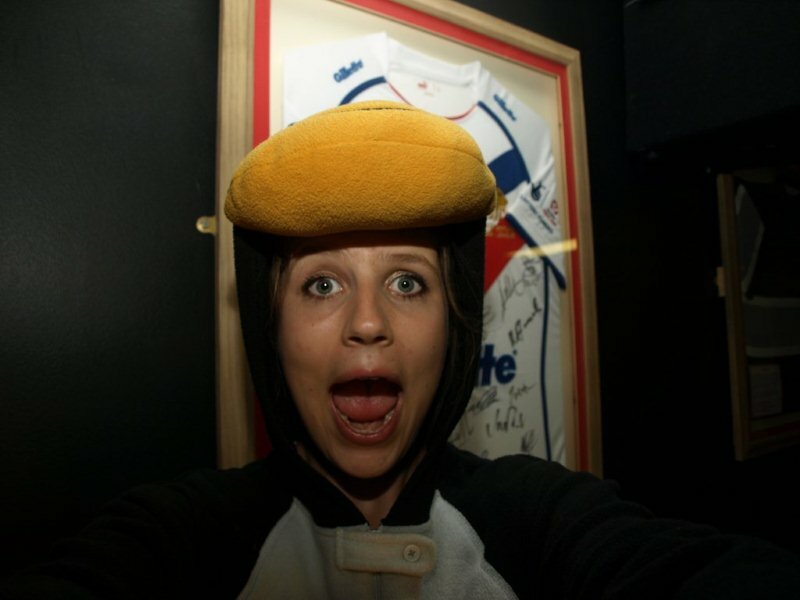 A mid week trip to the bowling alley was followed by a disco on the Friday night. 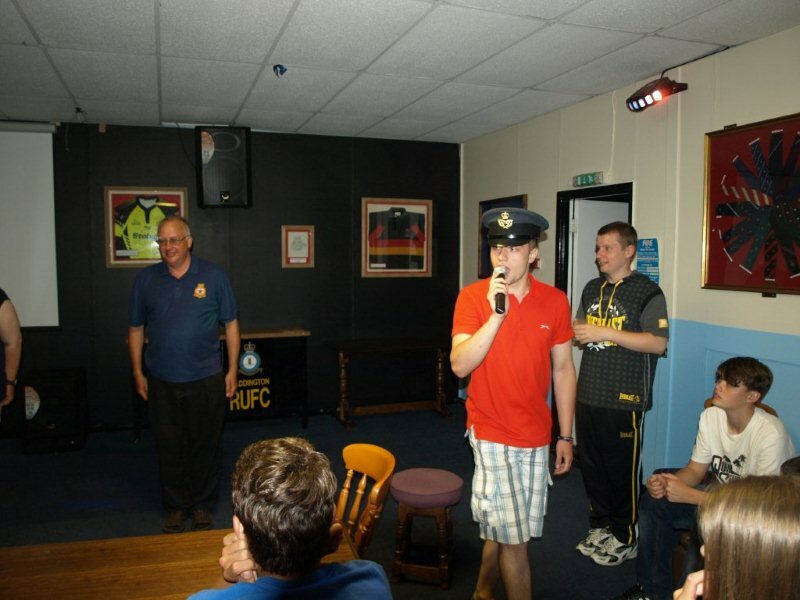 The disco was an excellent evening with the awards being handed out for Best Cadet, Best NCO, most improved Cadet and Best Flight. 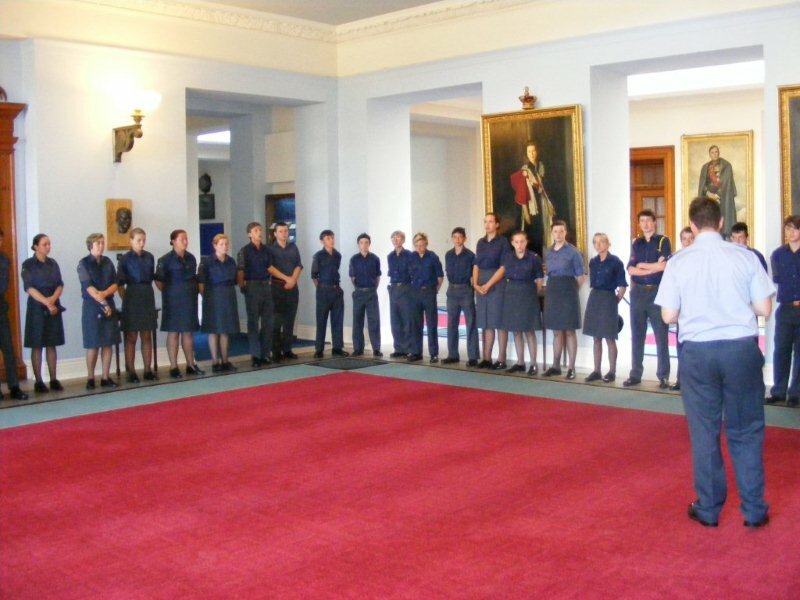 The Cadet NCOs also handed their own awards out and took the opportunity to ‘inspect’ the staff’s uniform for the evening. 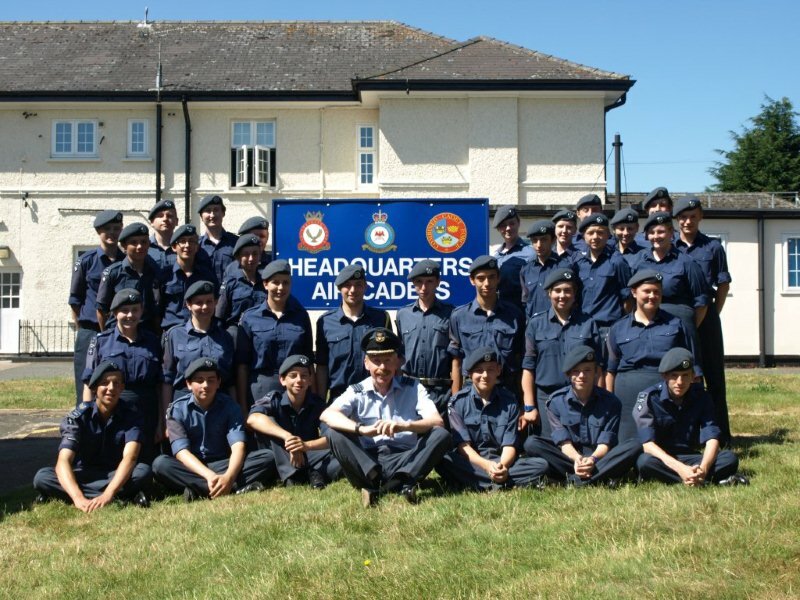 All in all, it was an excellent week and the highlight of the year for the Cadets who attended.